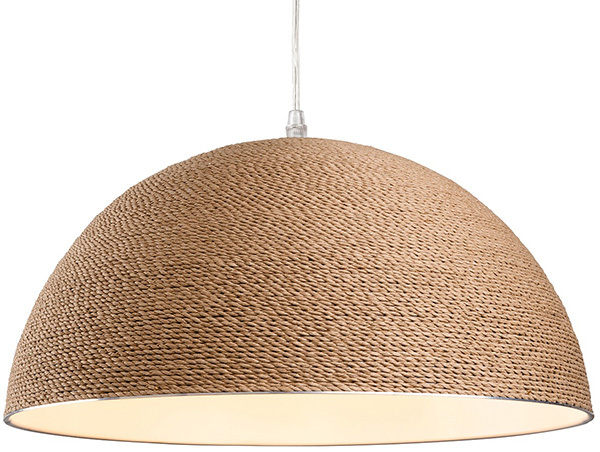 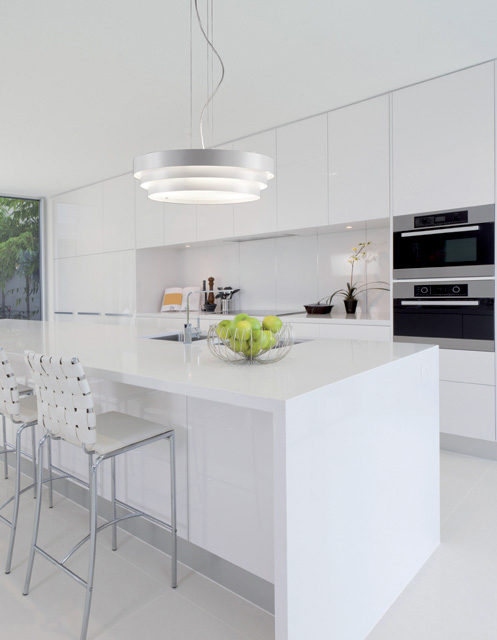 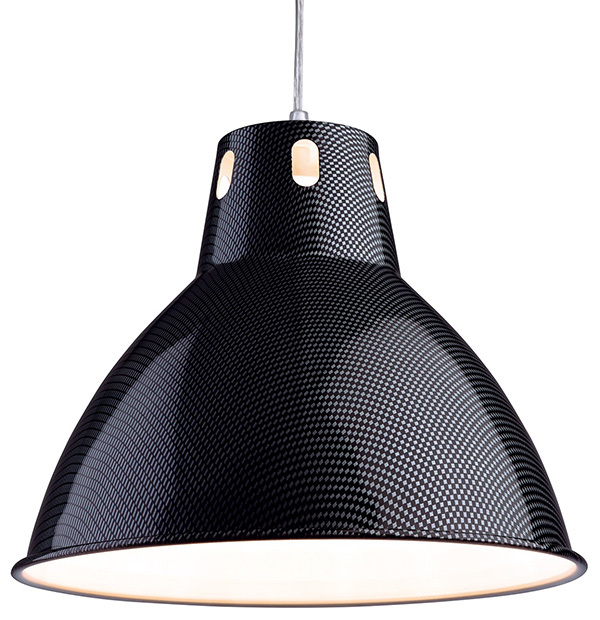 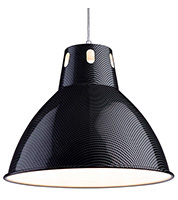 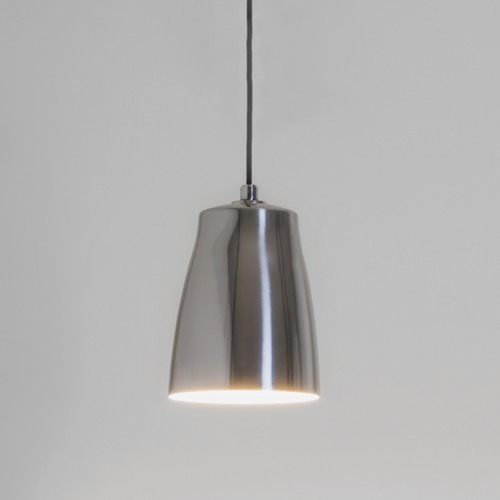 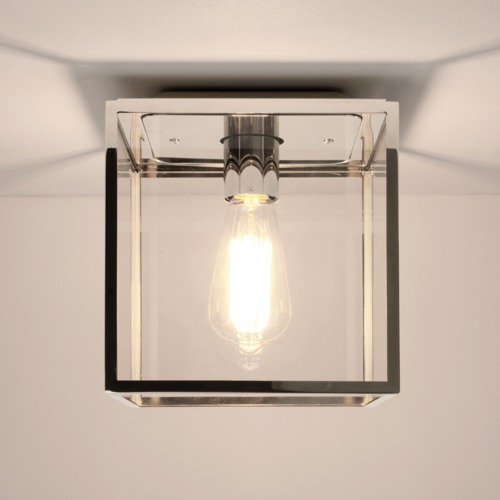 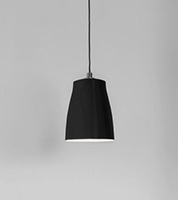 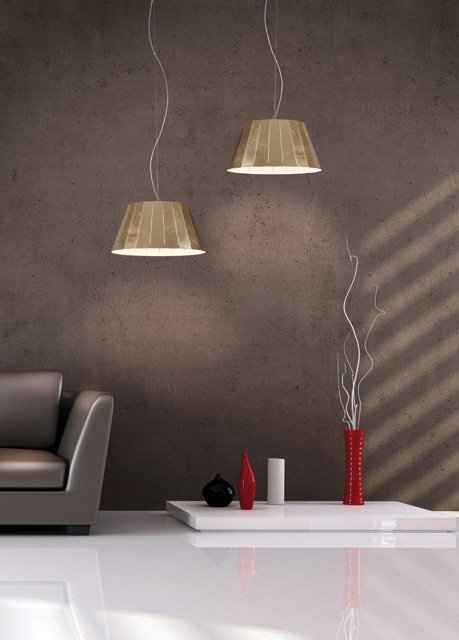 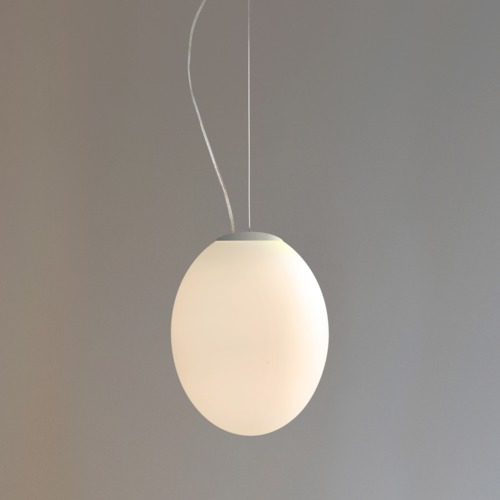 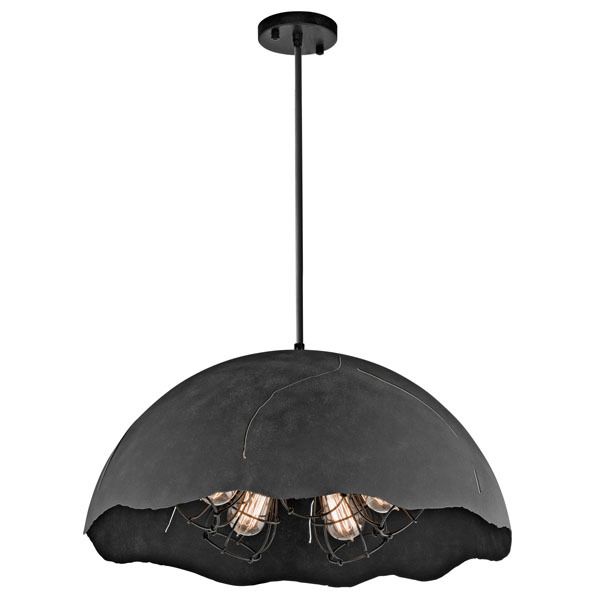 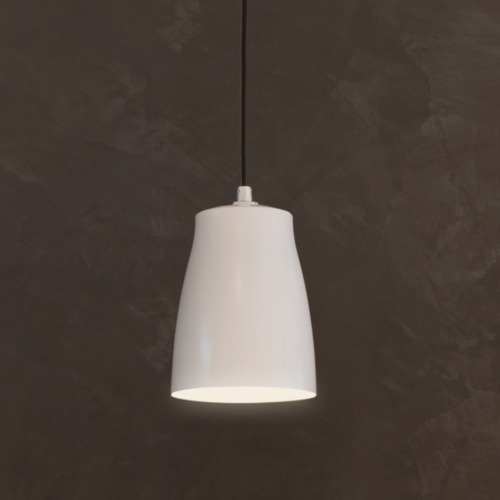 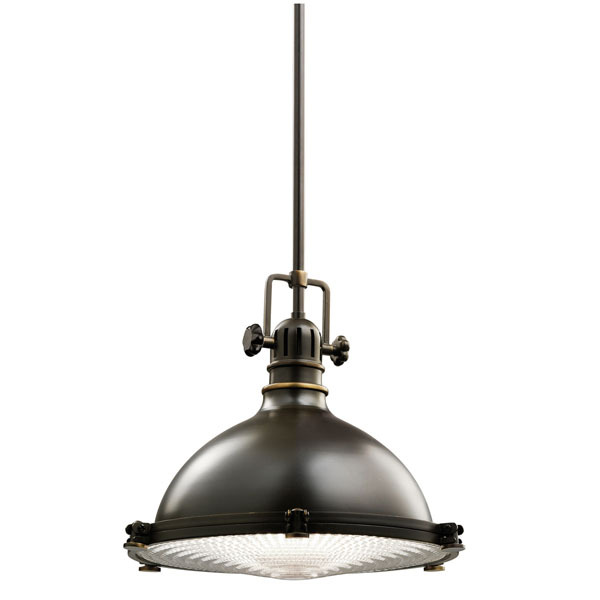 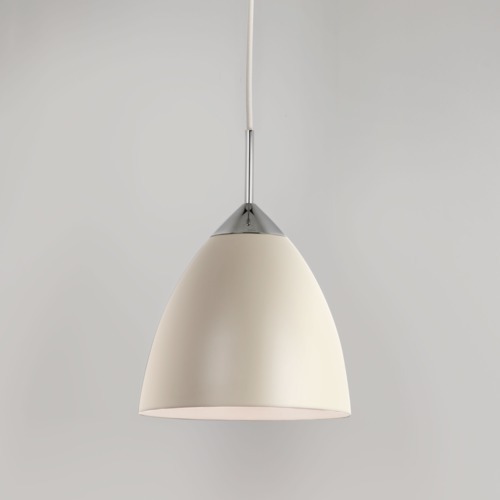 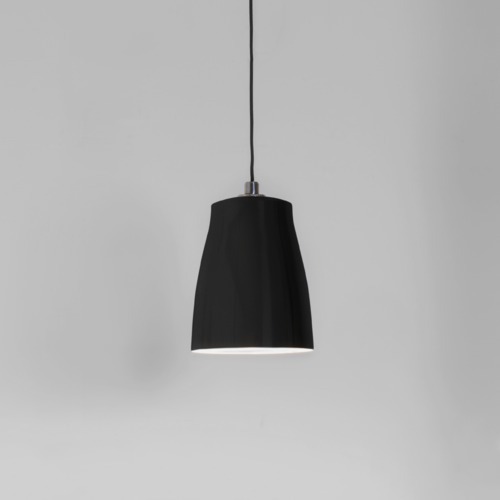 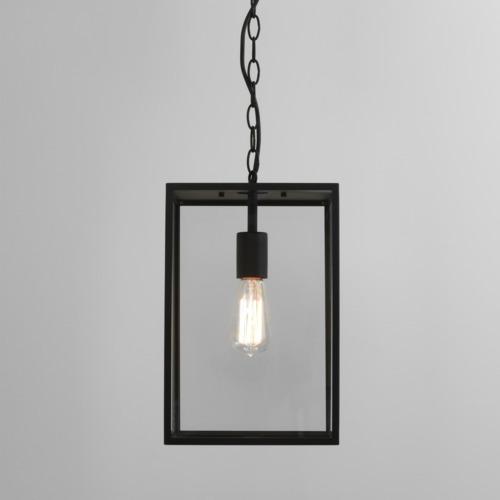 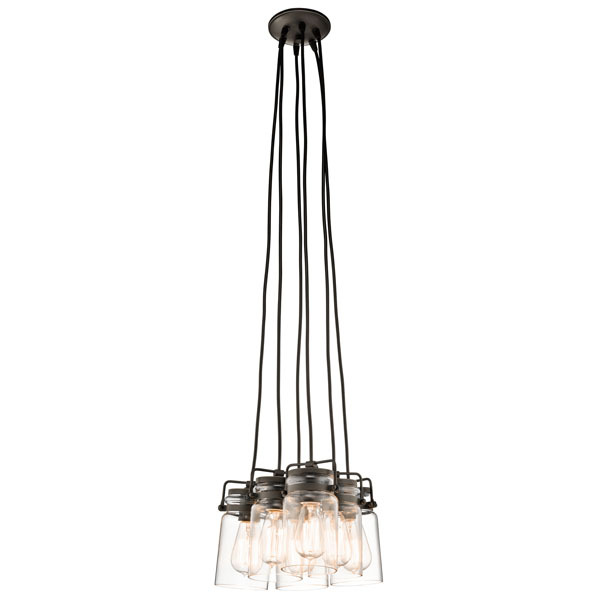 Angelo's Lighting sell a wide range of contemporary ceiling lights for all areas of the home including track lighting, suspended track lighting, pendant lights, flush and semi-flush lighting and contemporary chandeliers. 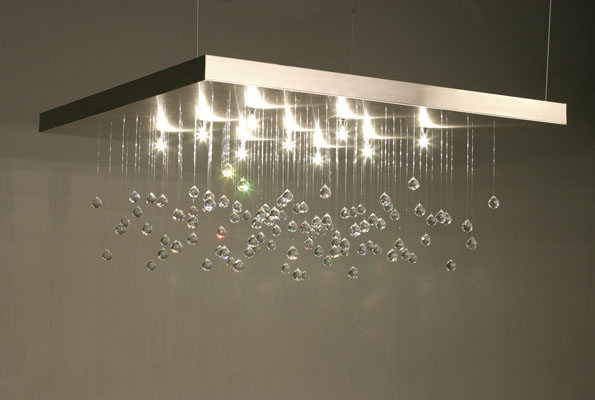 Our London showroom features literally hundreds of spectacular designs from modern ceiling lights with bold geometric shapes, dazzling crystal lighting and minimalist lighting made from contemporary materials such as glass and chrome. 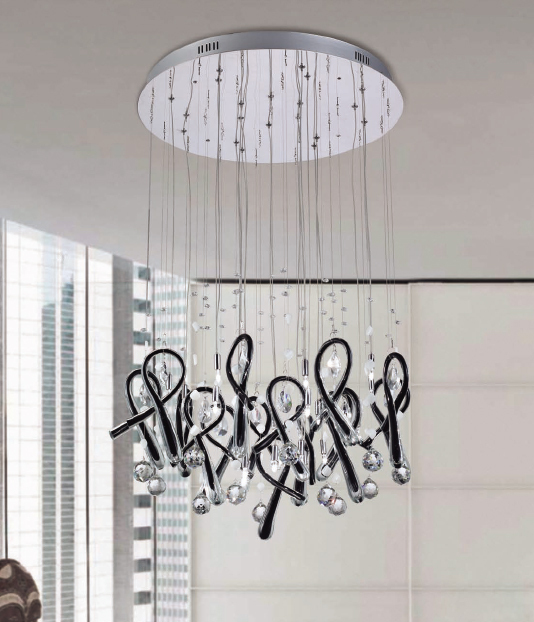 Contemporary ceiling lights create mood, enhance your existing décor and act as a stunning focal point, they can also highlight certain areas of the room such as a beautiful sculpture or artwork. 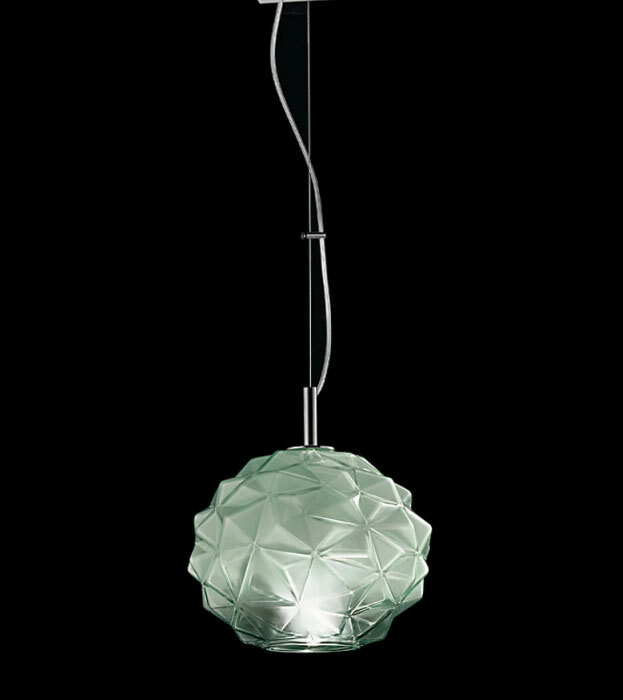 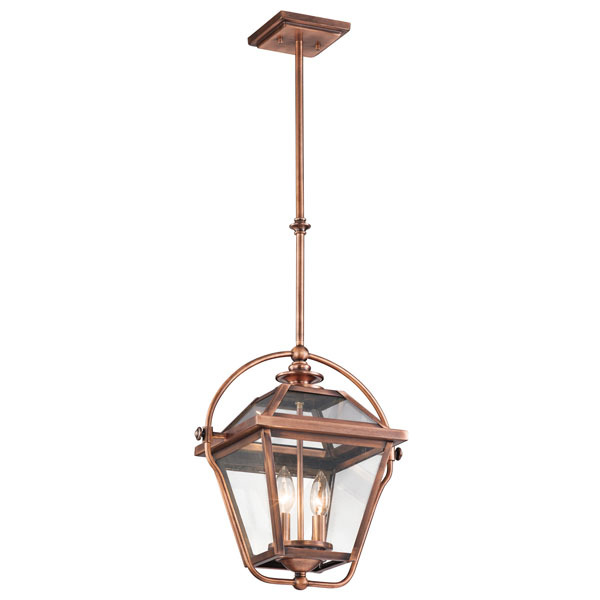 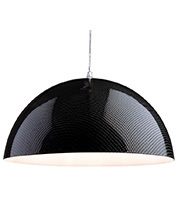 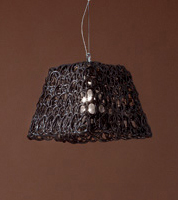 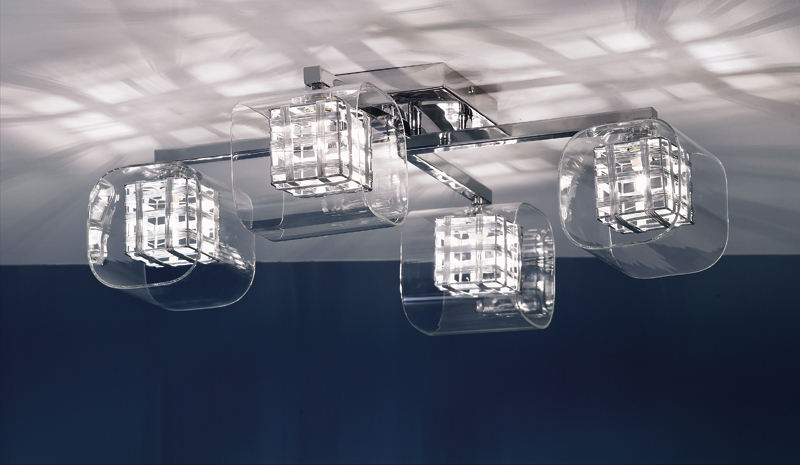 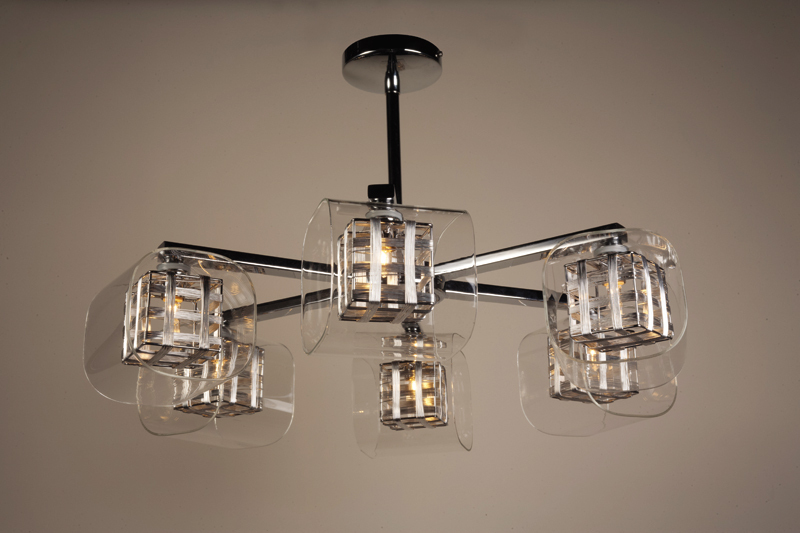 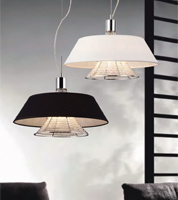 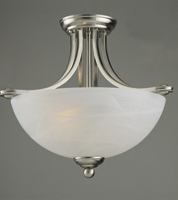 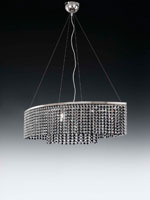 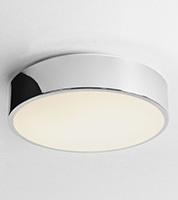 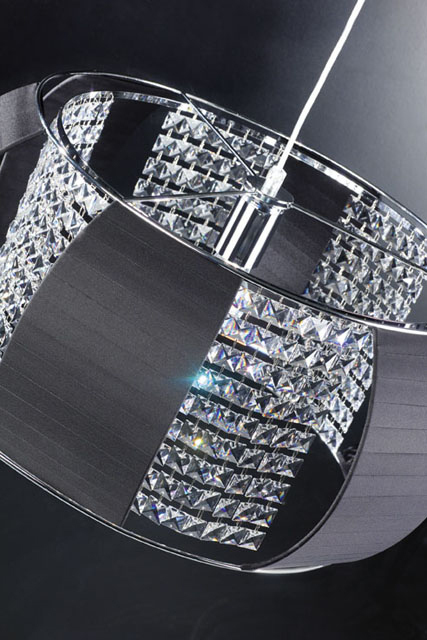 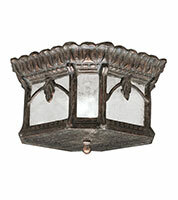 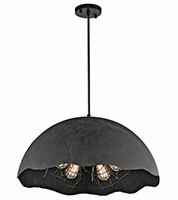 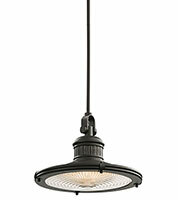 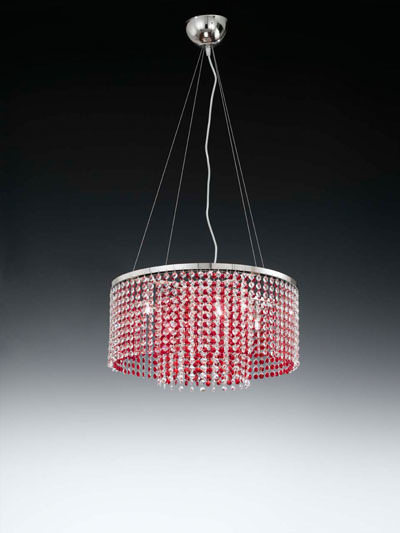 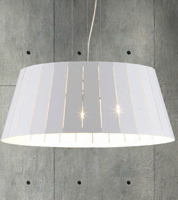 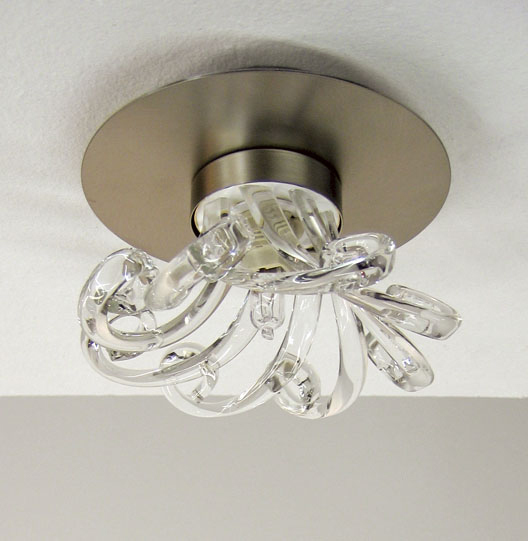 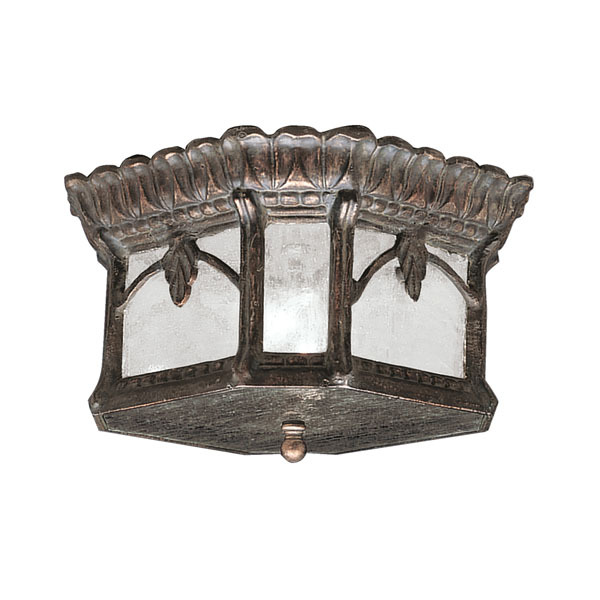 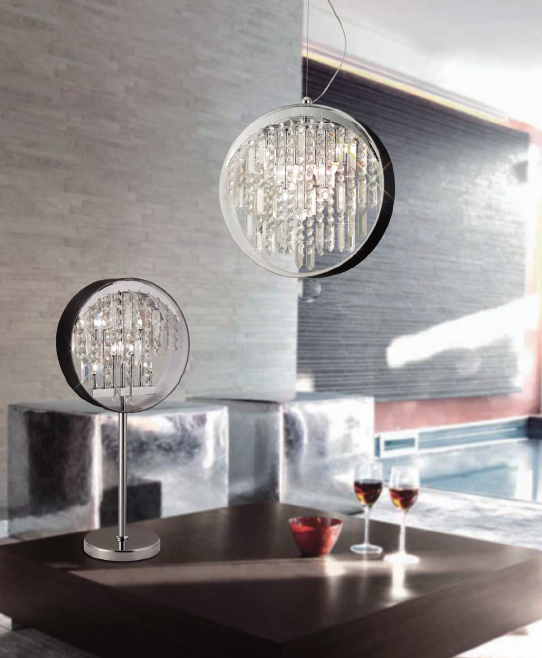 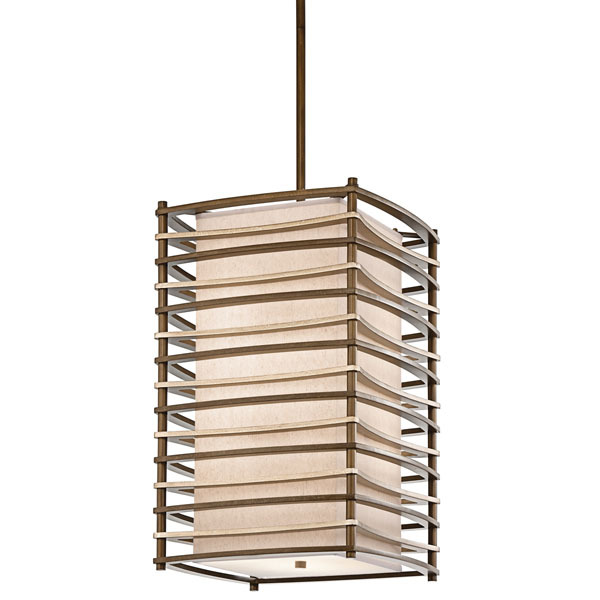 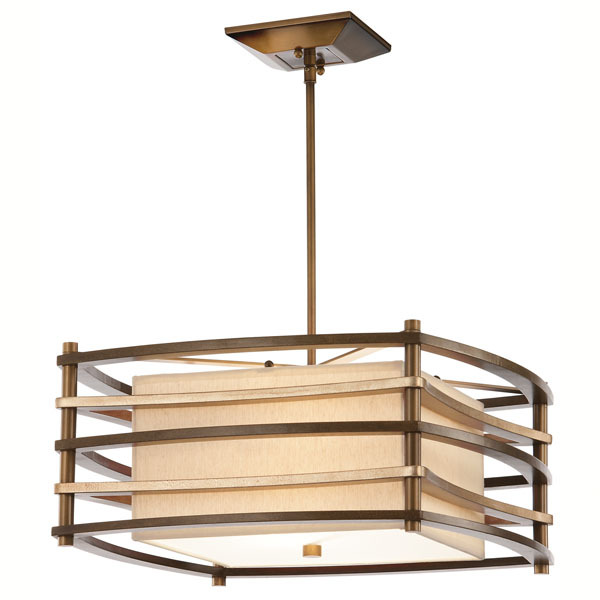 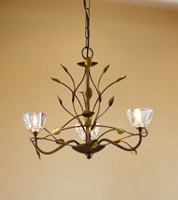 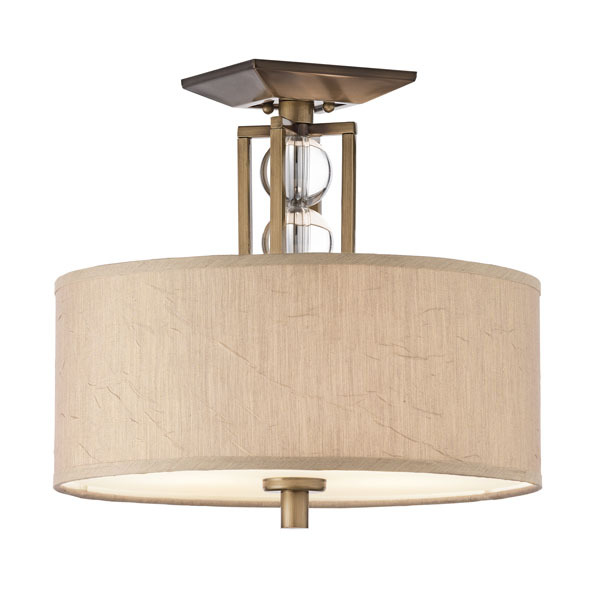 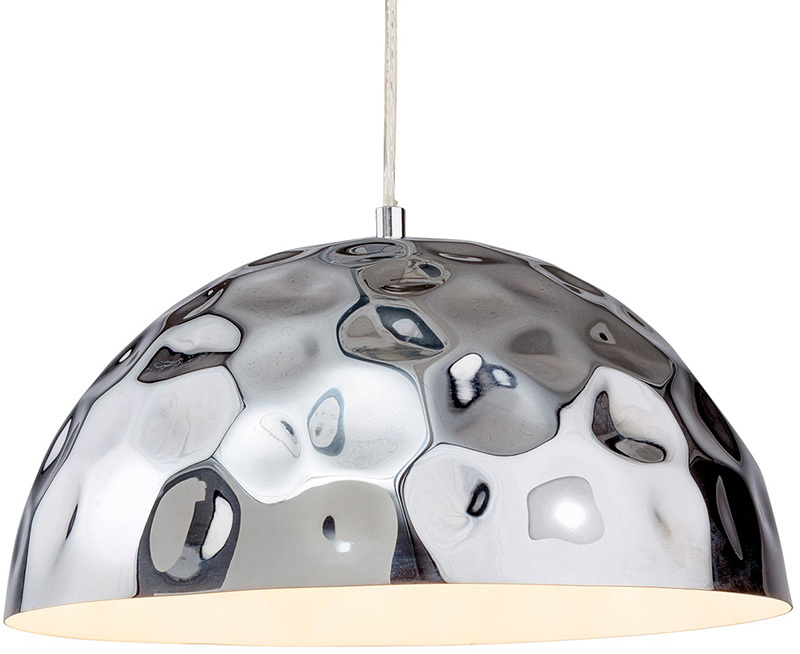 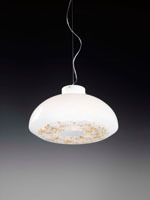 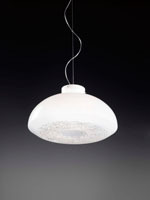 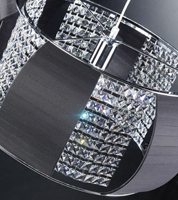 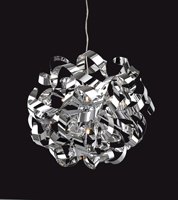 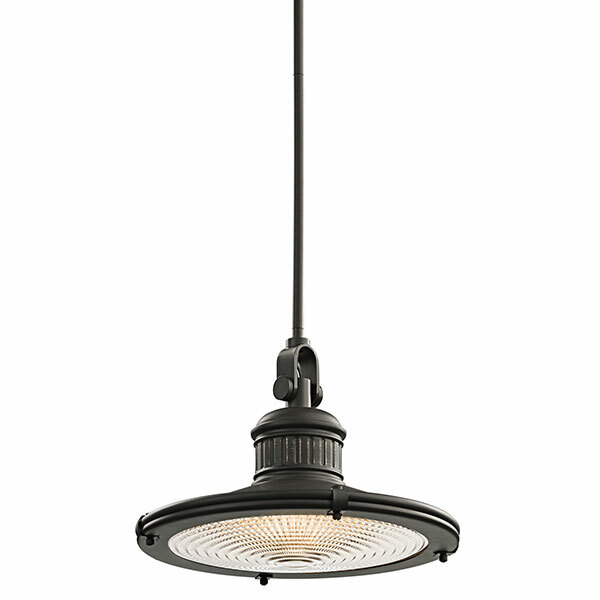 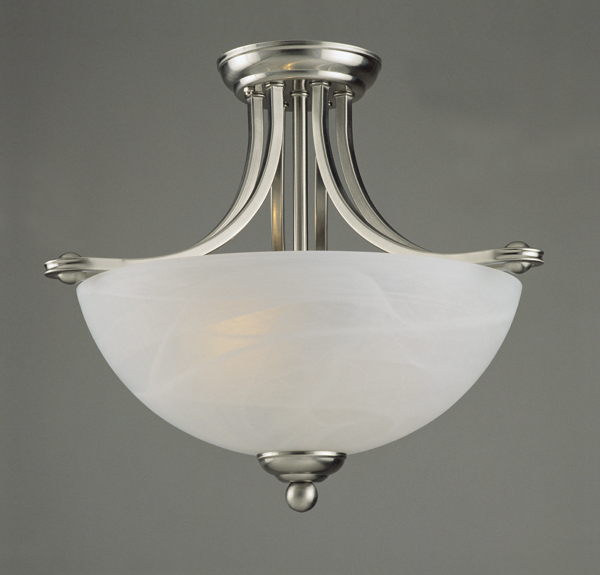 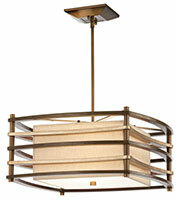 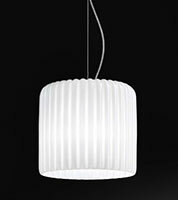 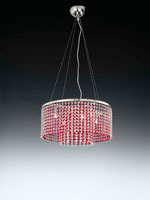 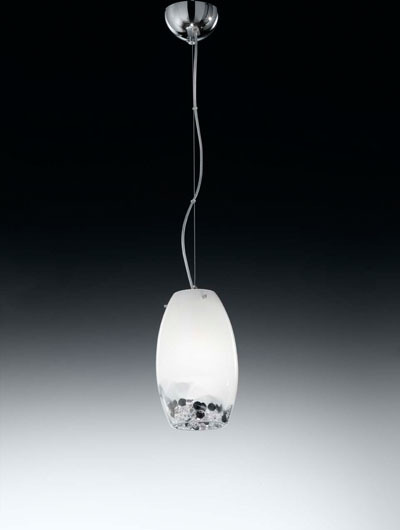 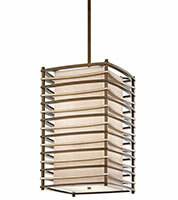 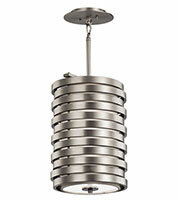 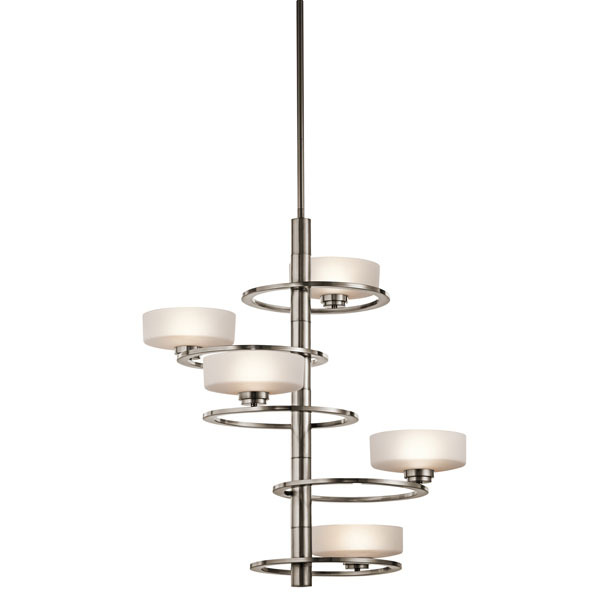 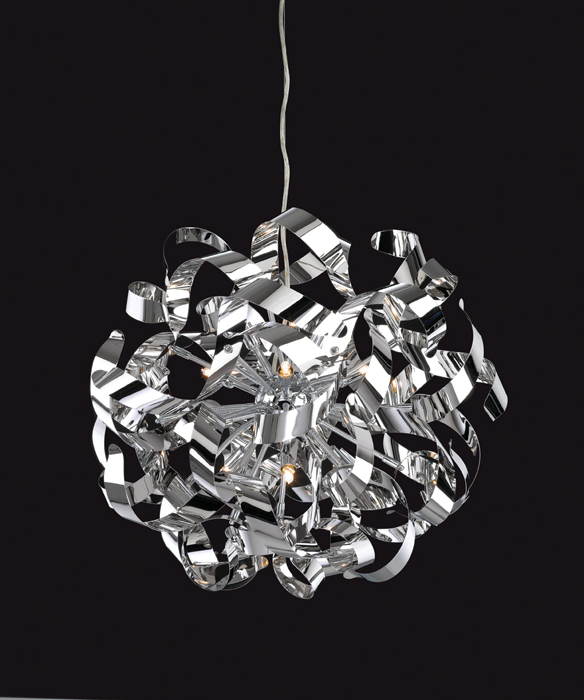 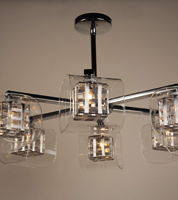 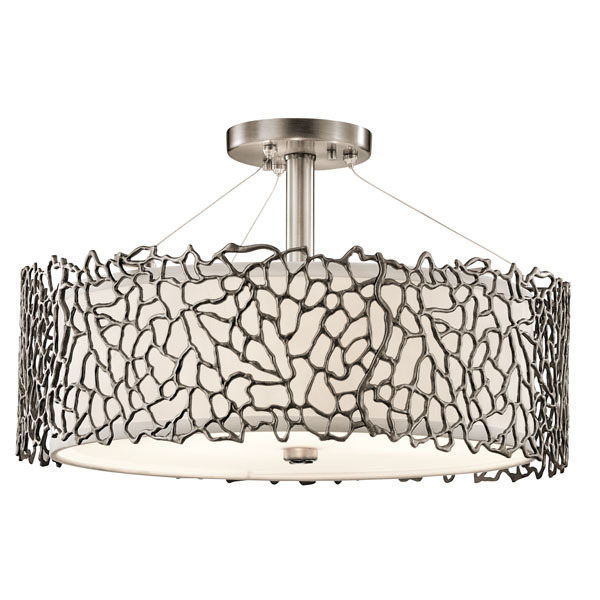 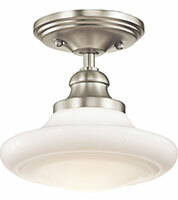 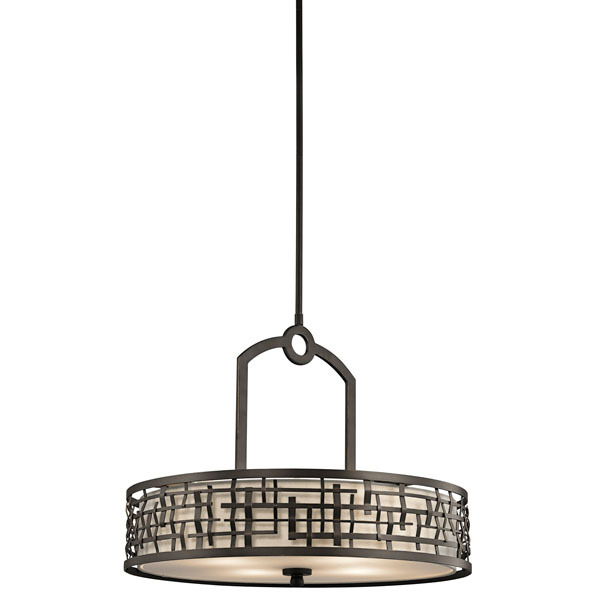 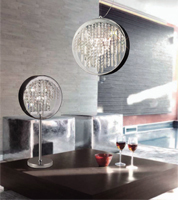 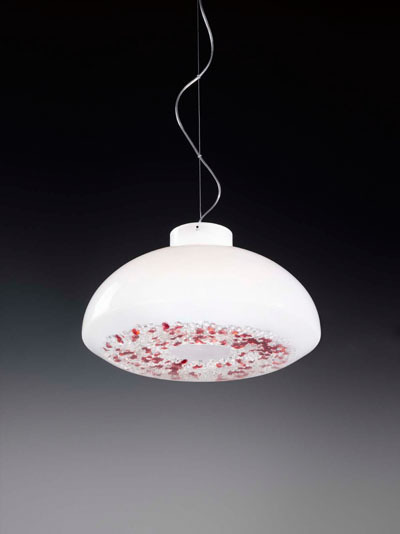 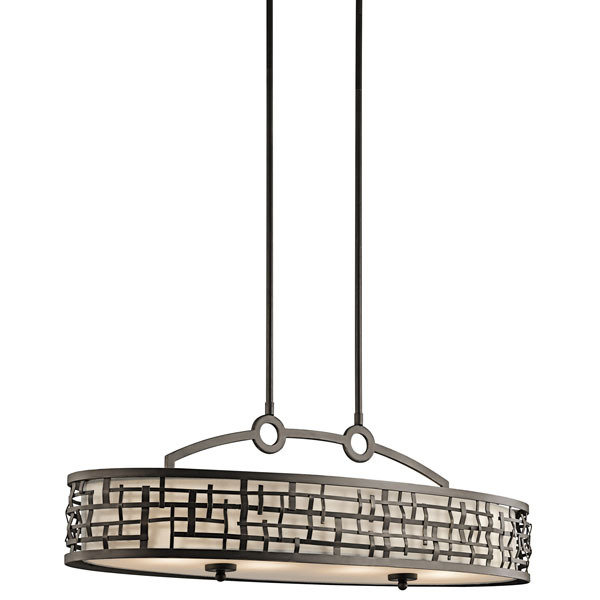 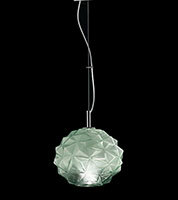 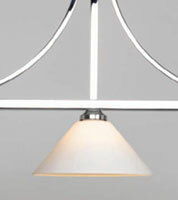 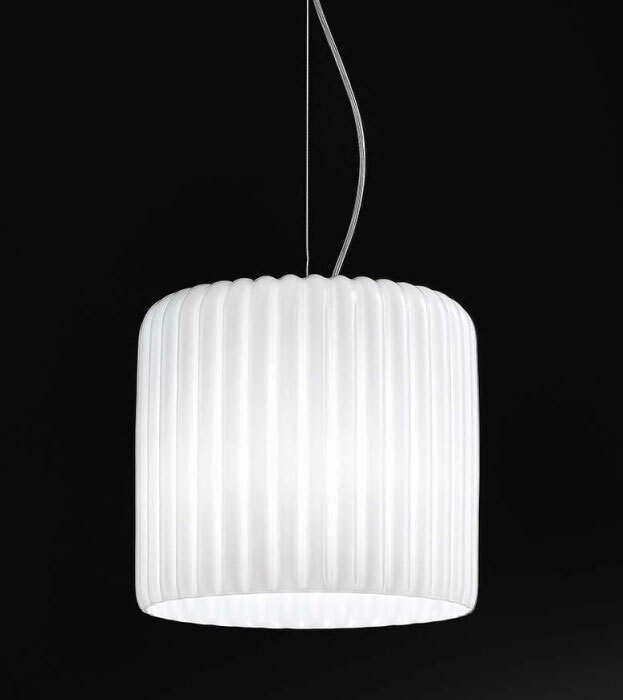 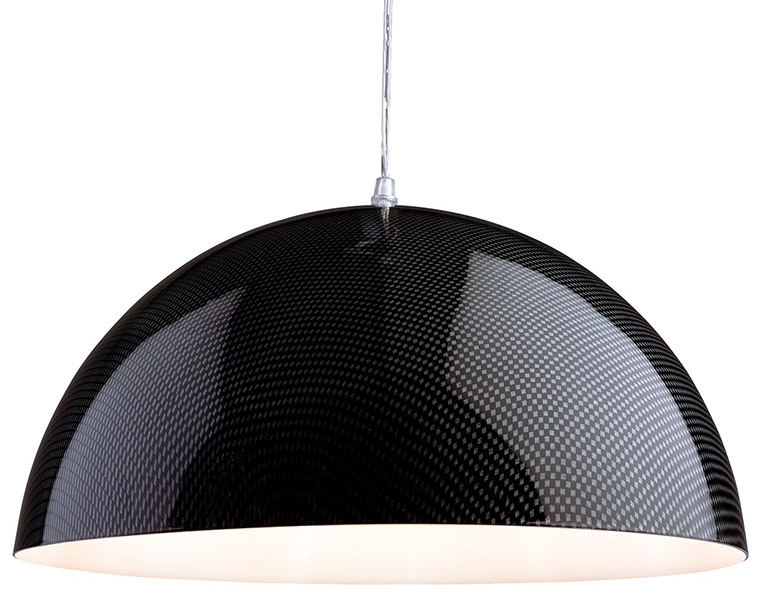 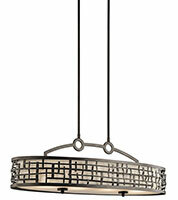 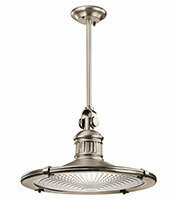 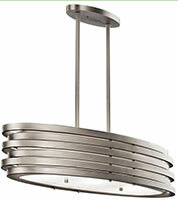 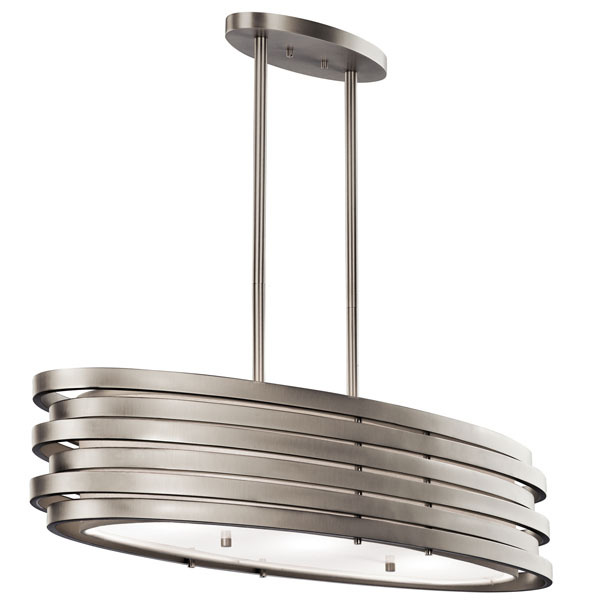 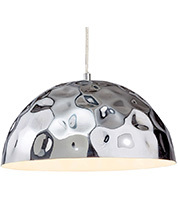 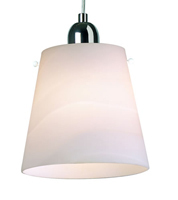 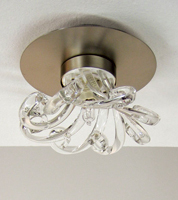 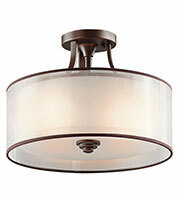 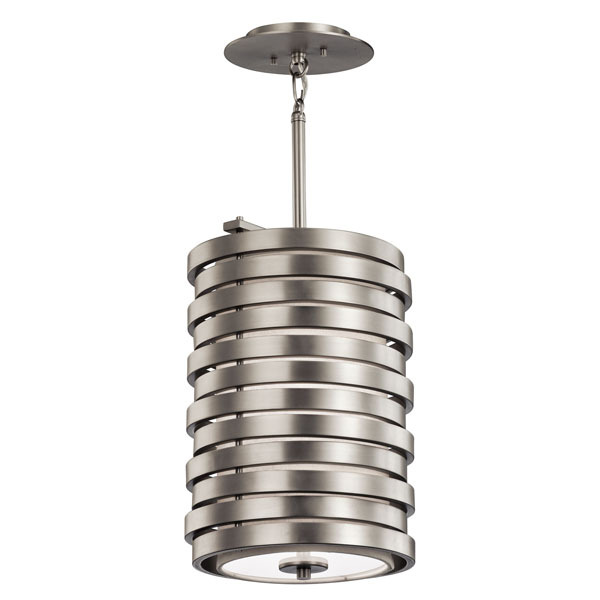 A few of our contemporary ceiling lights can be viewed here, however these are just a sample. 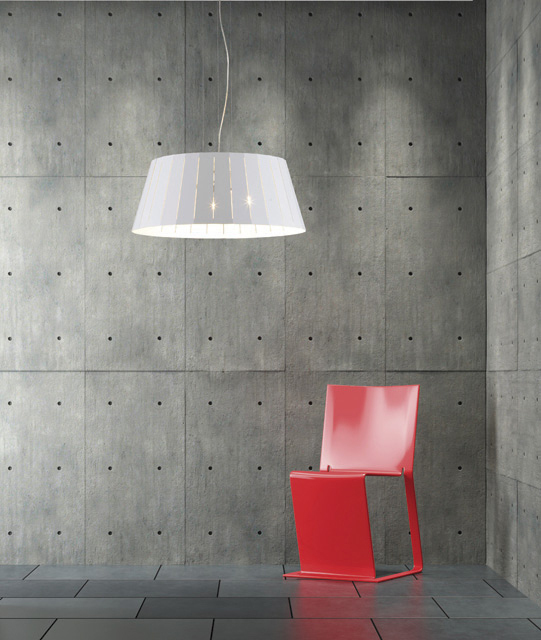 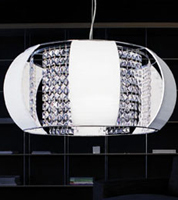 Our showroom in North London has a much larger selection of modern and contemporary ceiling lights than can be found on these pages. 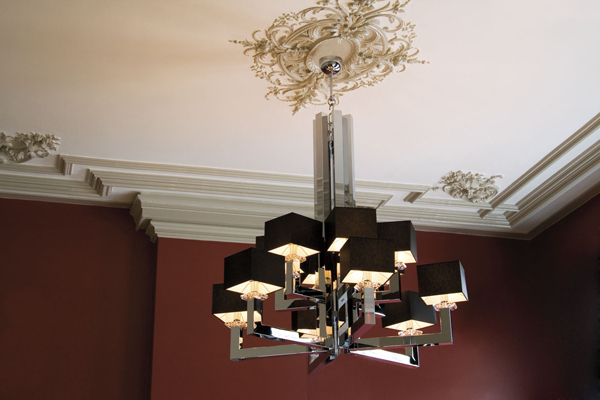 To browse our complete collection of contemporary ceiling lights, come and visit our London showroom. 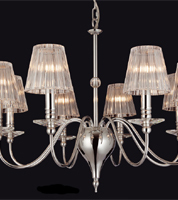 It is open seven days a week and our specialist lighting experts are always on hand to help and advise you. 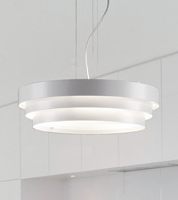 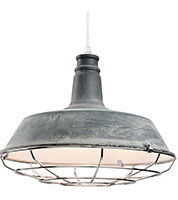 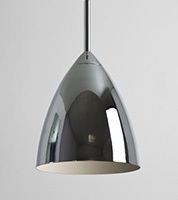 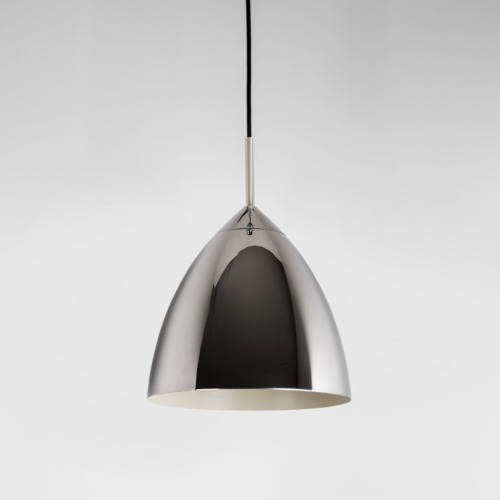 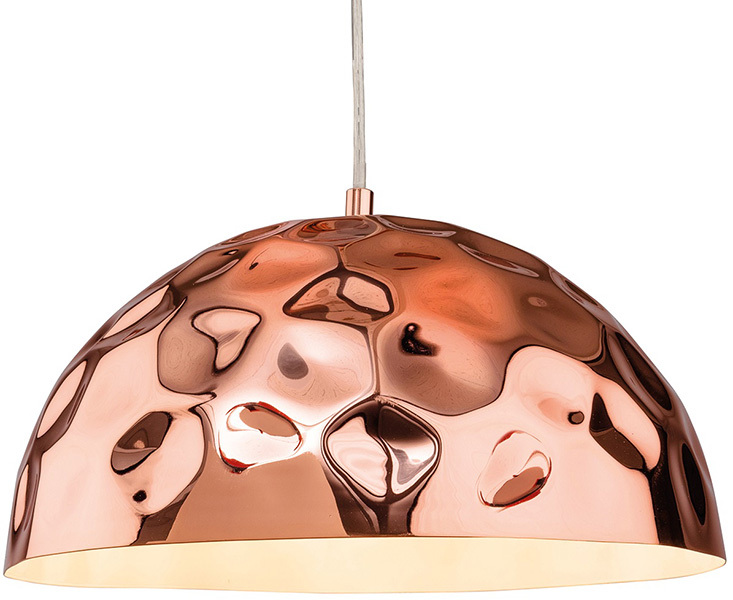 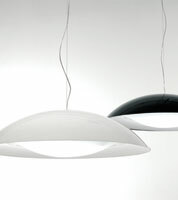 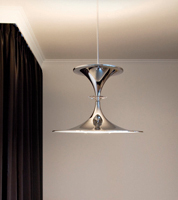 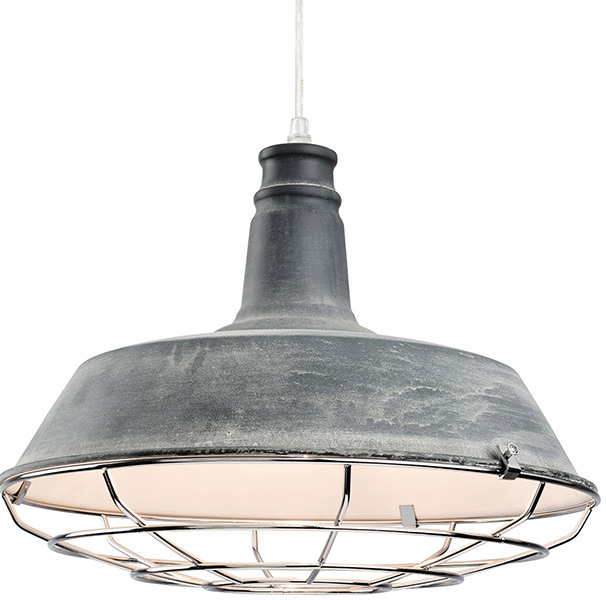 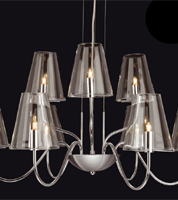 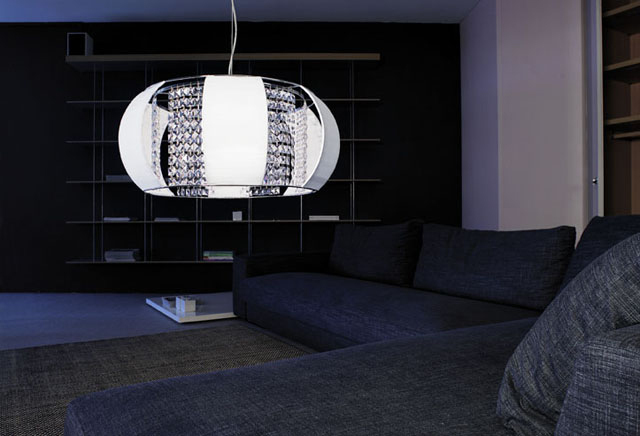 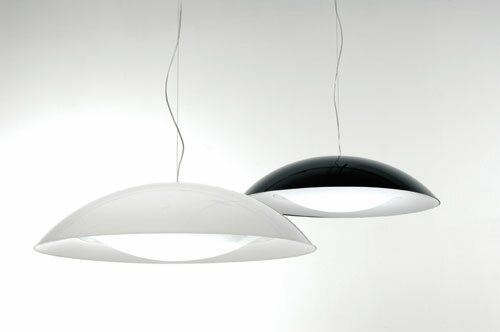 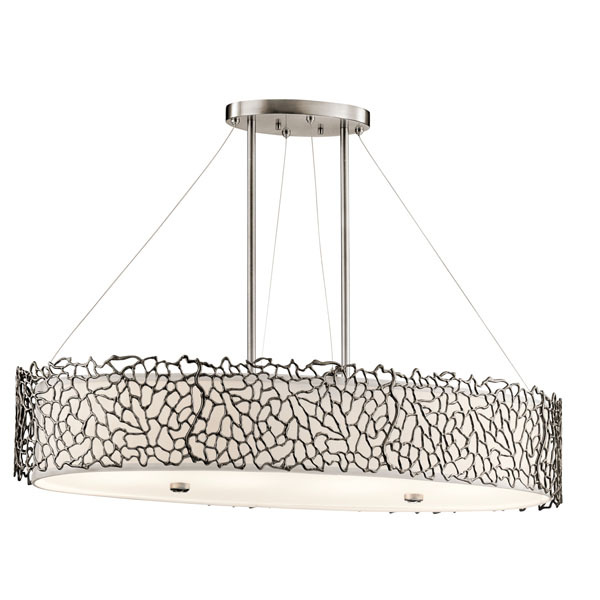 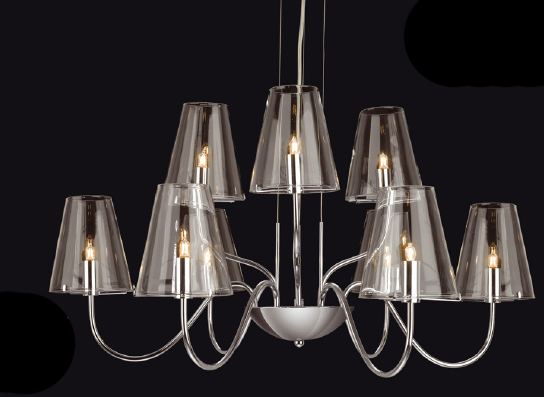 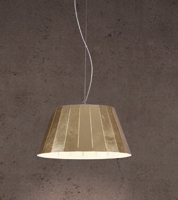 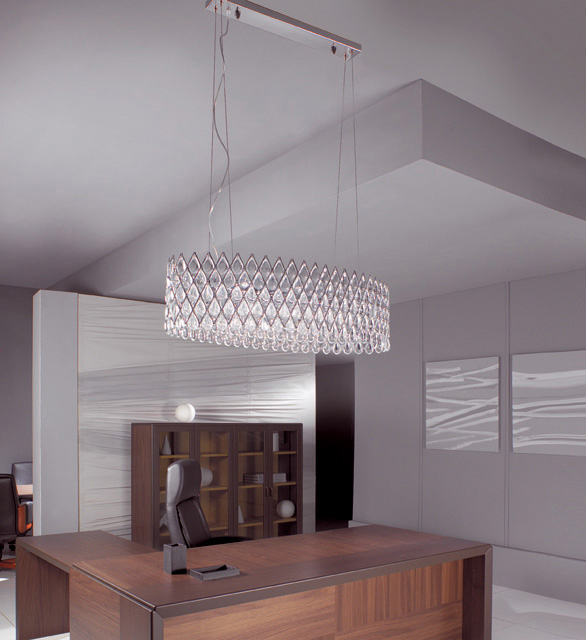 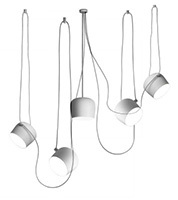 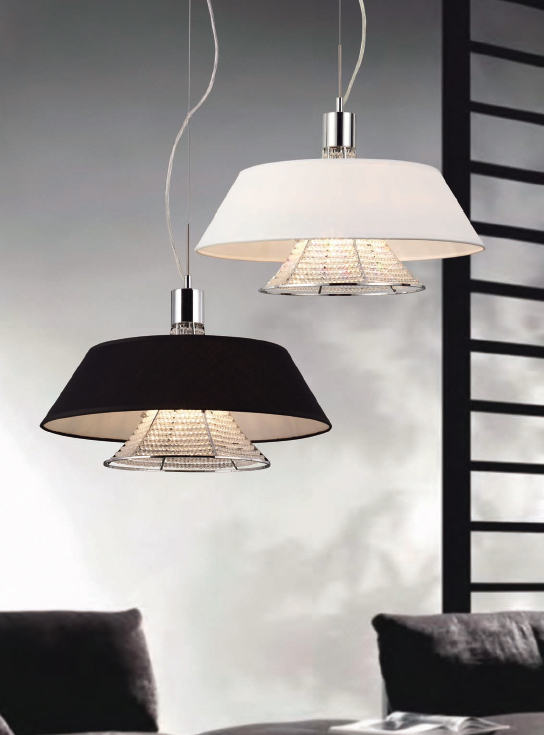 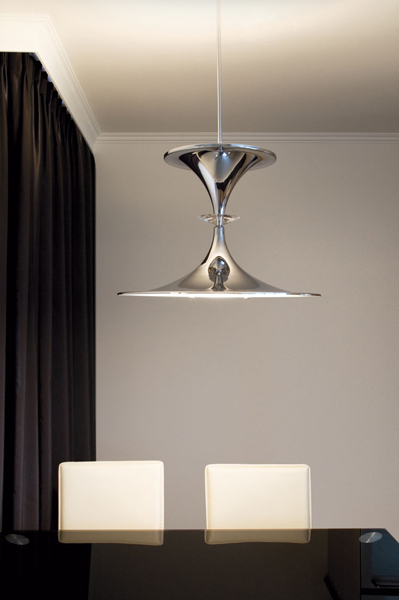 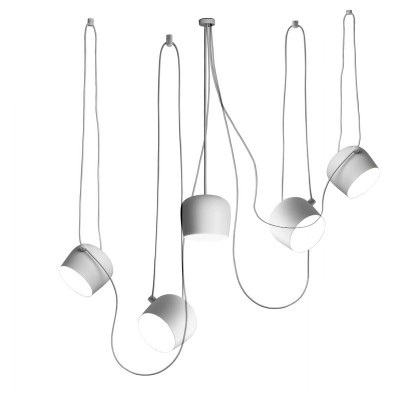 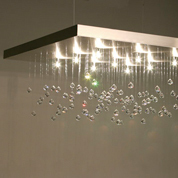 Contemporary Ceiling Lights - click here to view the location of our north London showroom. 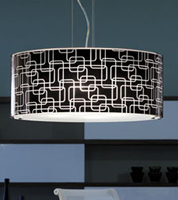 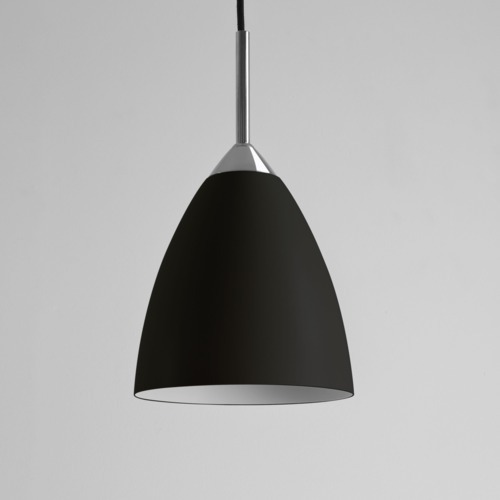 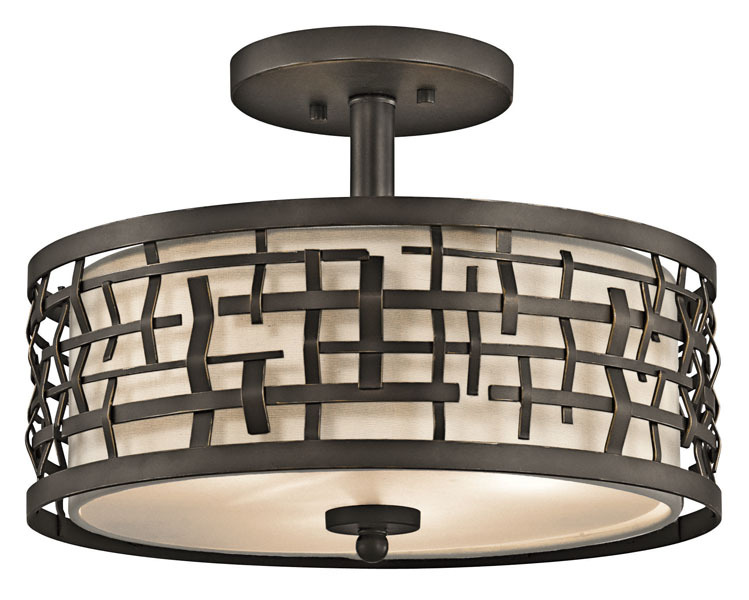 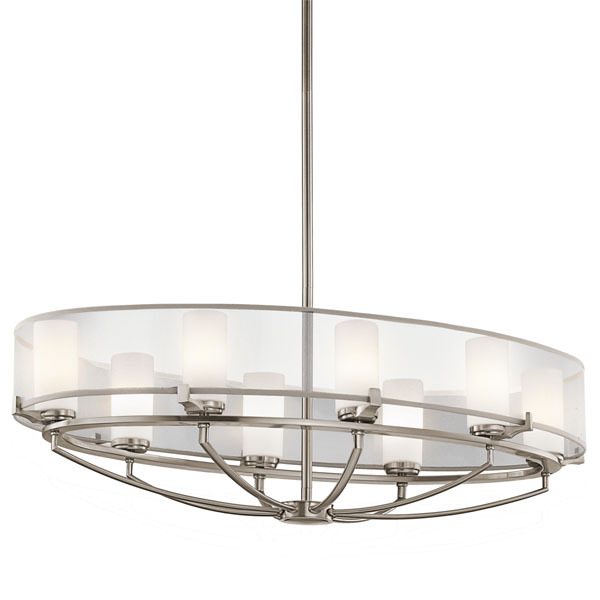 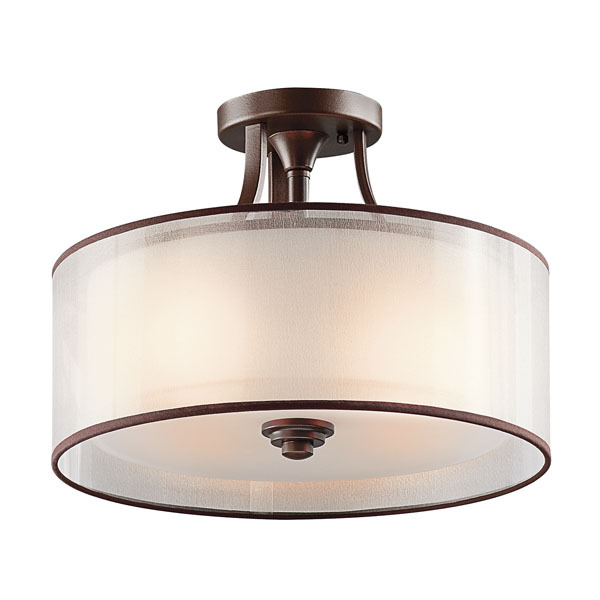 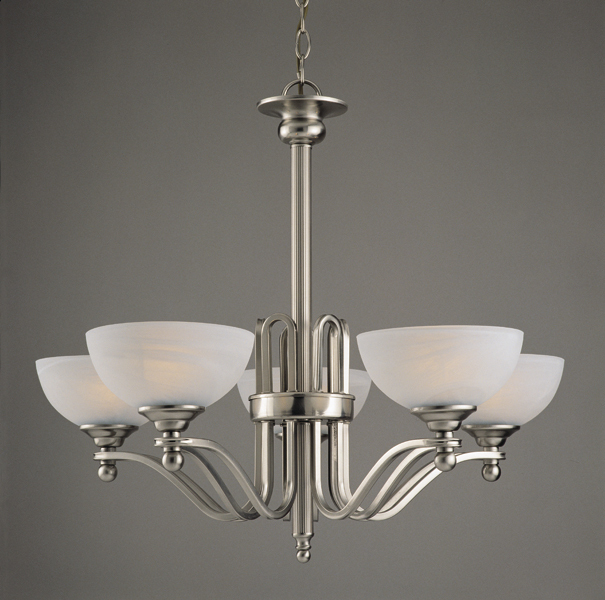 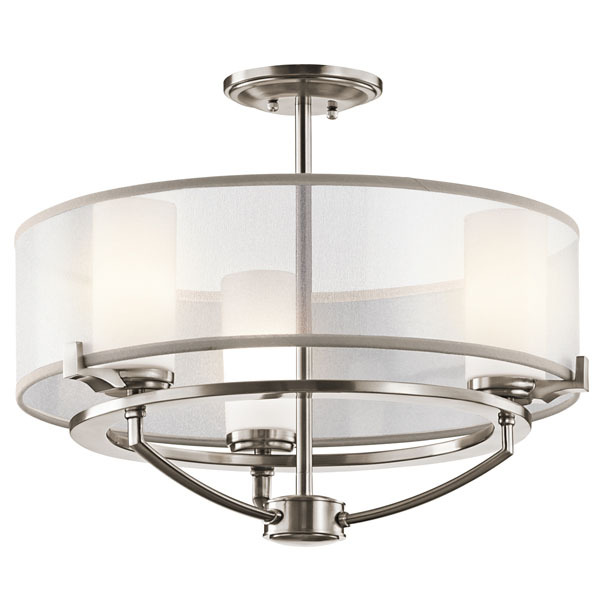 What are Contemporary Ceiling Lights? 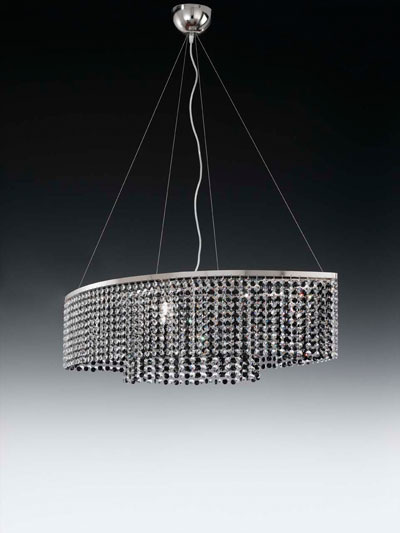 Contemporary ceiling lights are visually appealing as well as functional and have a variety of characteristics that set them apart from other lighting styles such strong geometric shapes, clean lines, artistic, sculptural forms and chrome finishes. 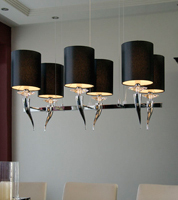 They lack the intricacy of other lighting styles and their sleek designs and unique shapes create a fascinating focal point. 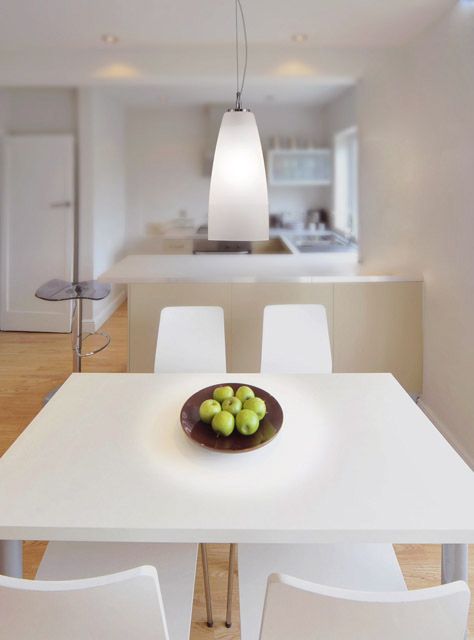 They can be used in any part of the home but create the best impact in simple, minimalist rooms with lots of floor space. 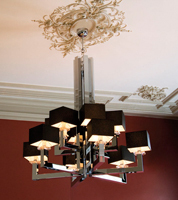 Contemporary ceiling lights are used to illuminate the whole room and set the mood to dramatic effect. 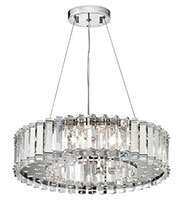 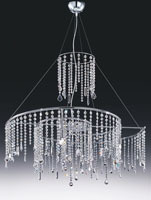 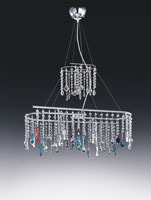 Try adding chrome and crystal drop ceiling lights which can be used to create a spectacular feature in the living room. 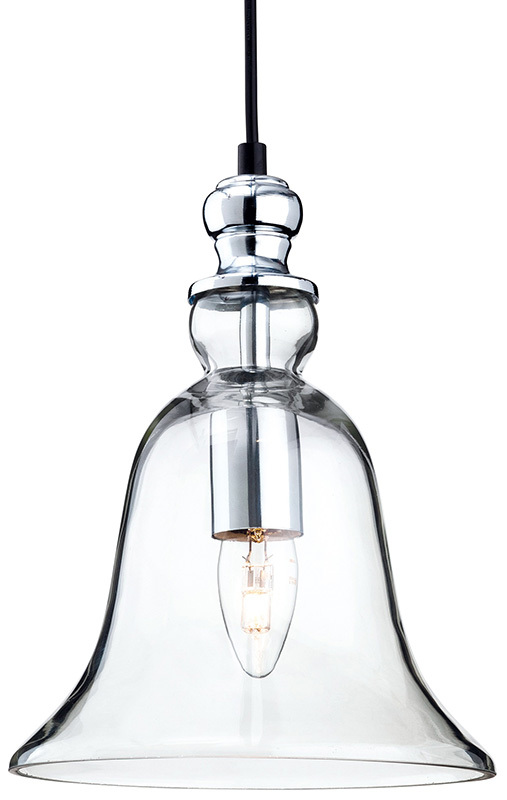 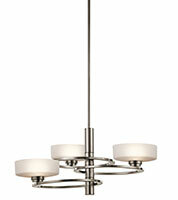 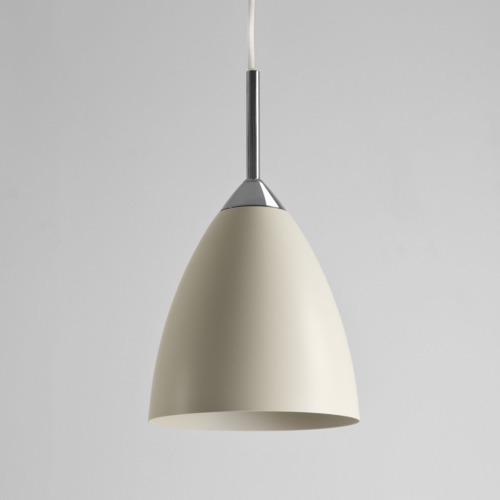 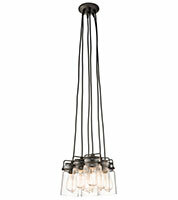 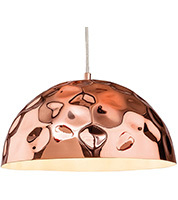 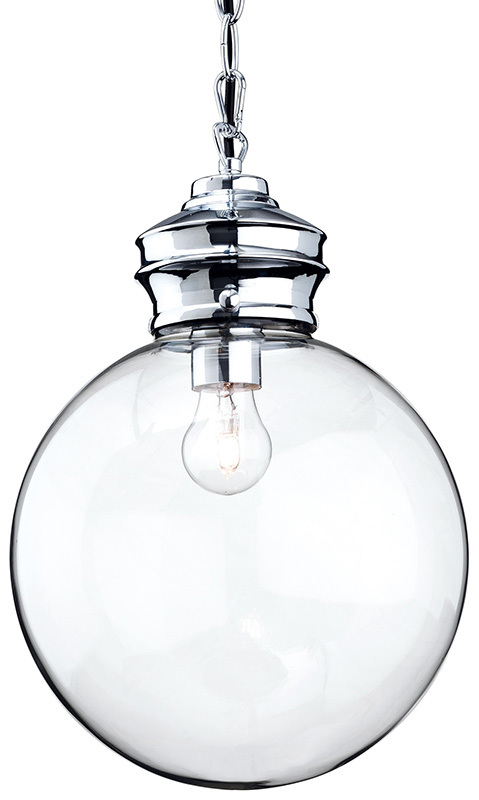 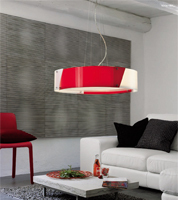 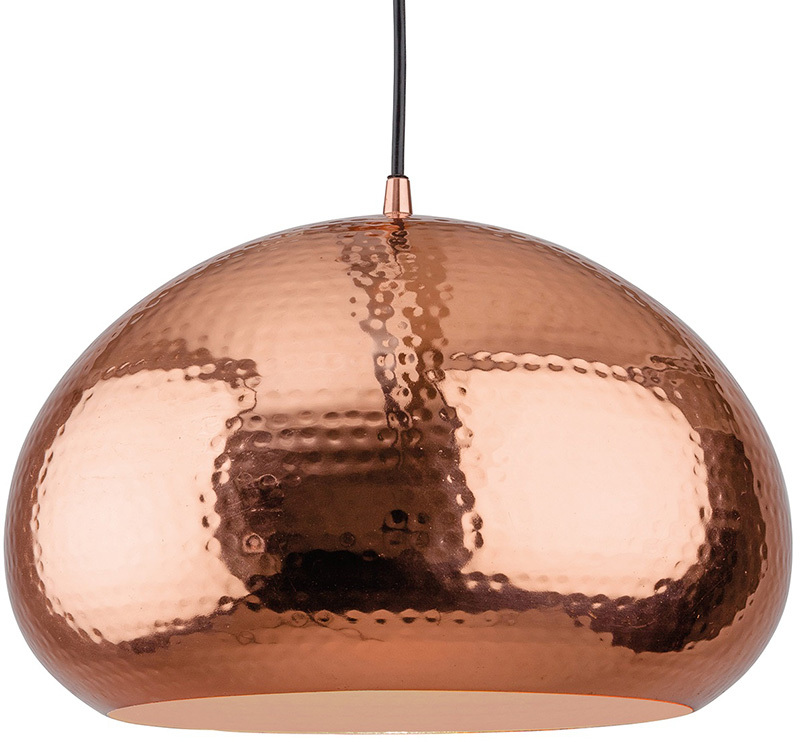 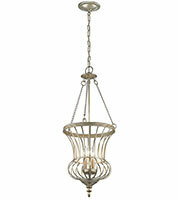 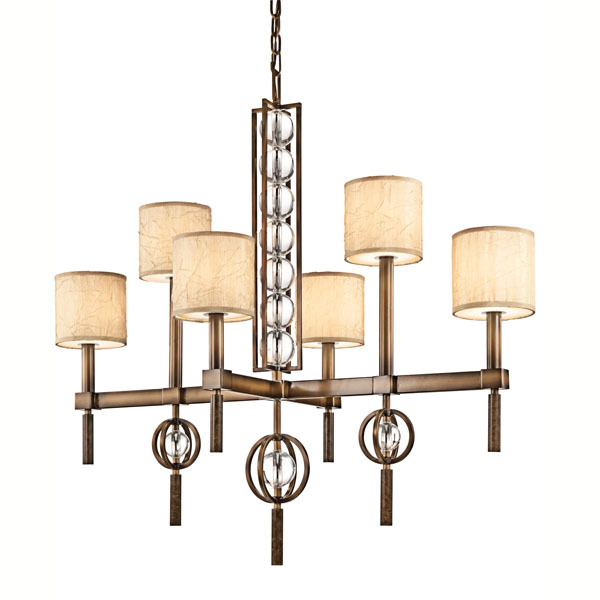 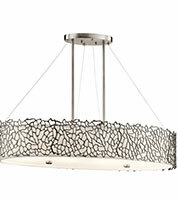 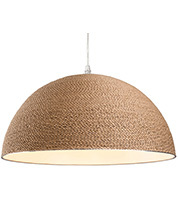 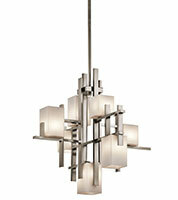 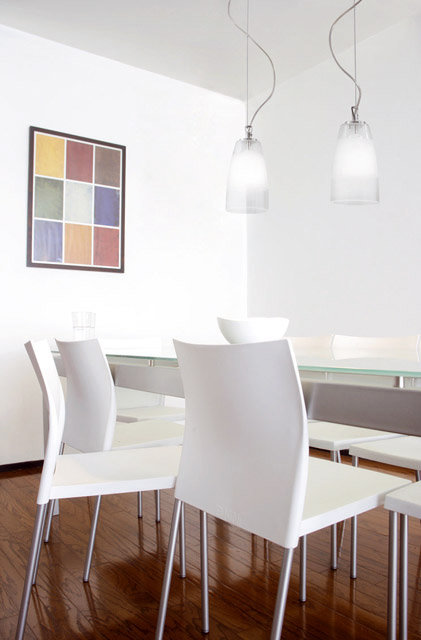 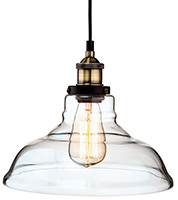 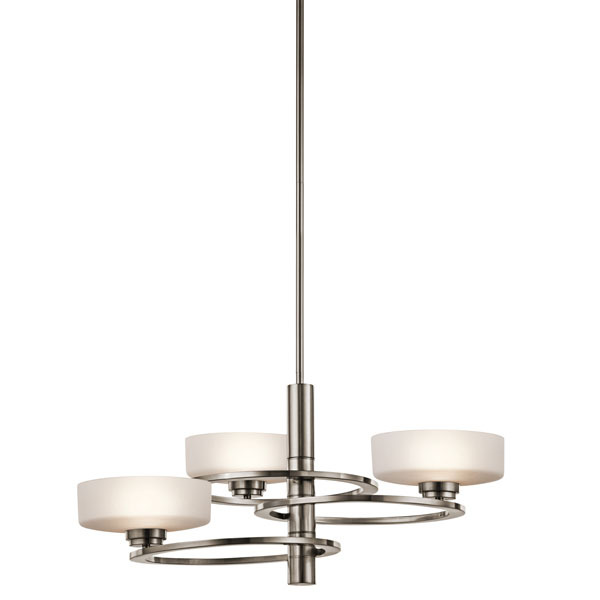 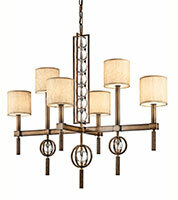 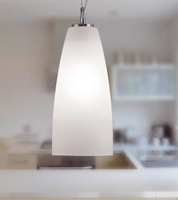 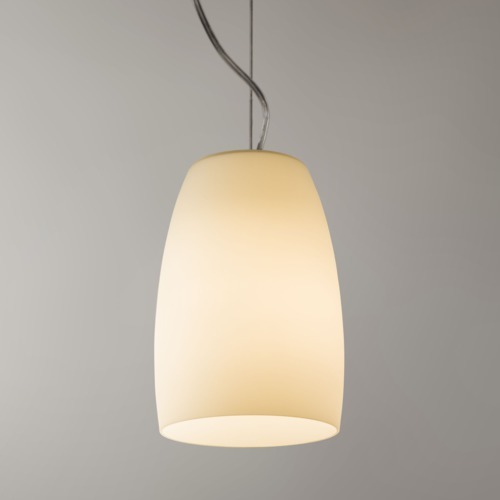 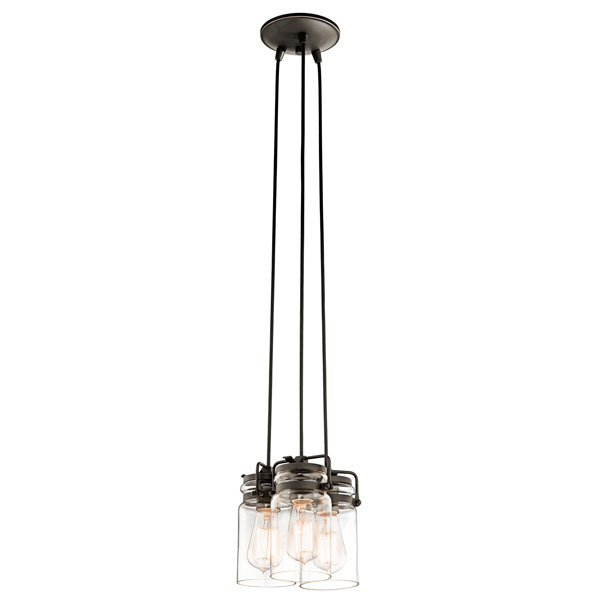 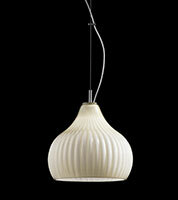 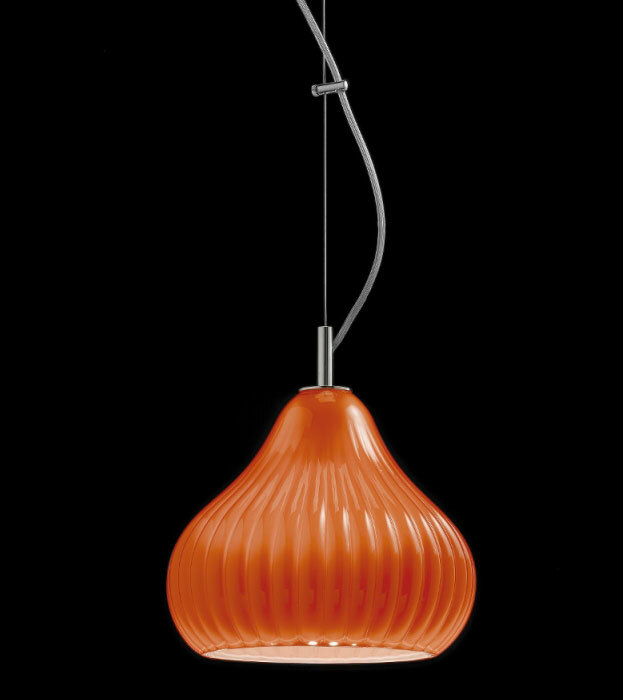 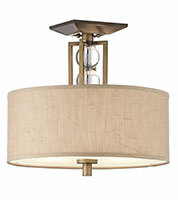 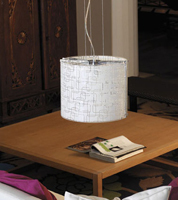 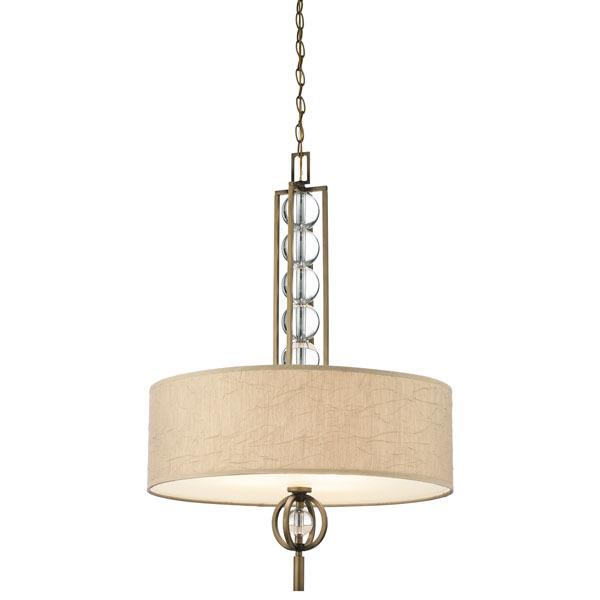 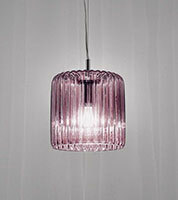 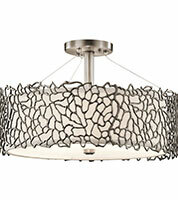 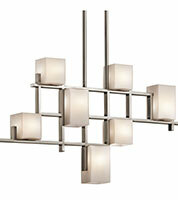 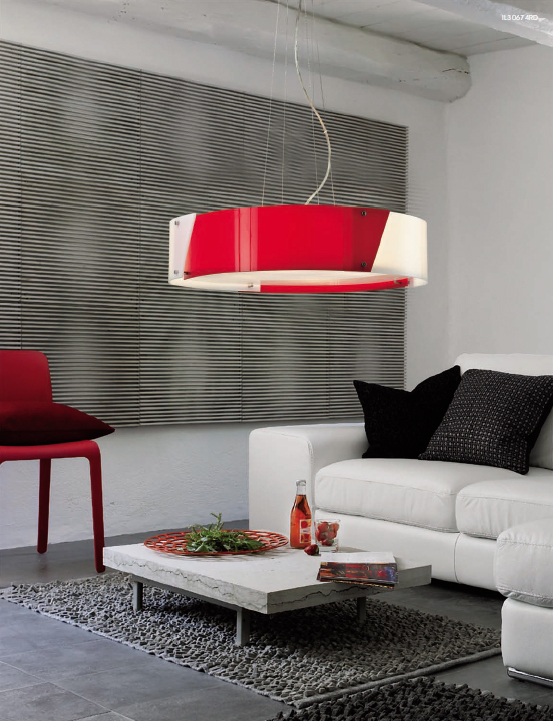 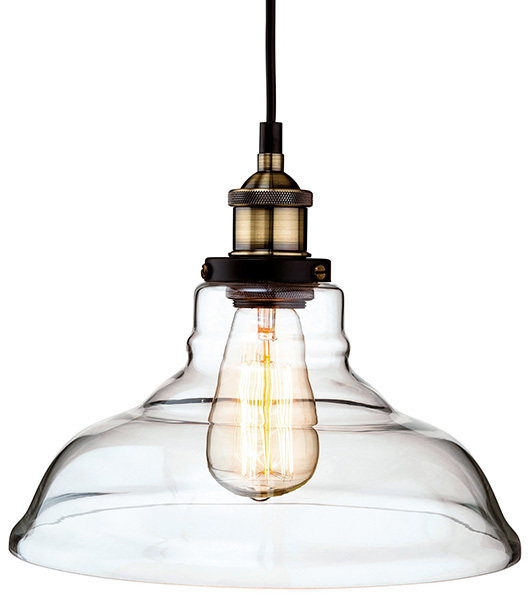 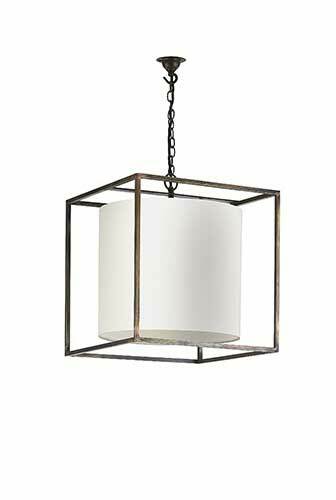 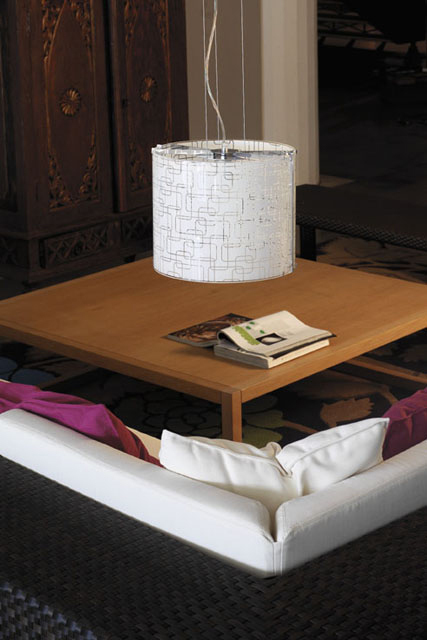 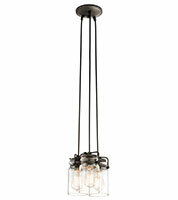 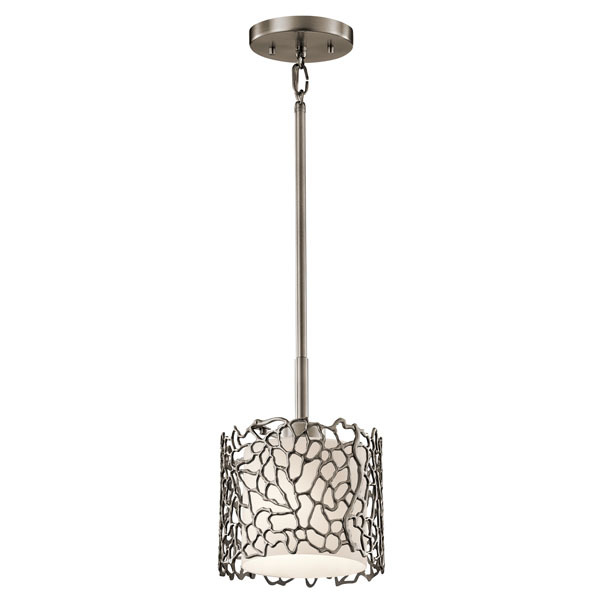 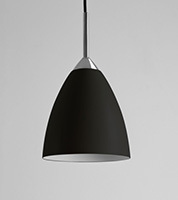 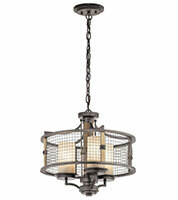 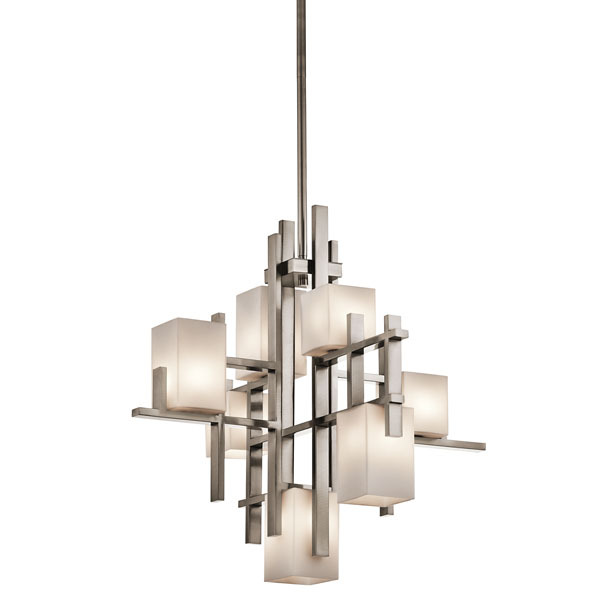 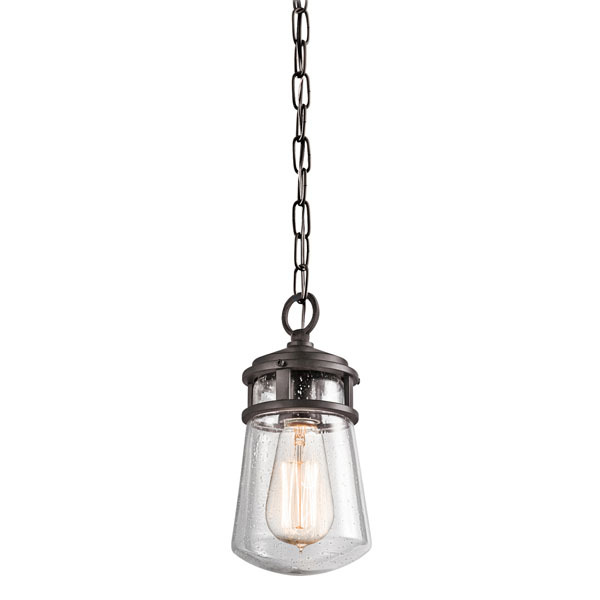 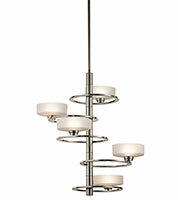 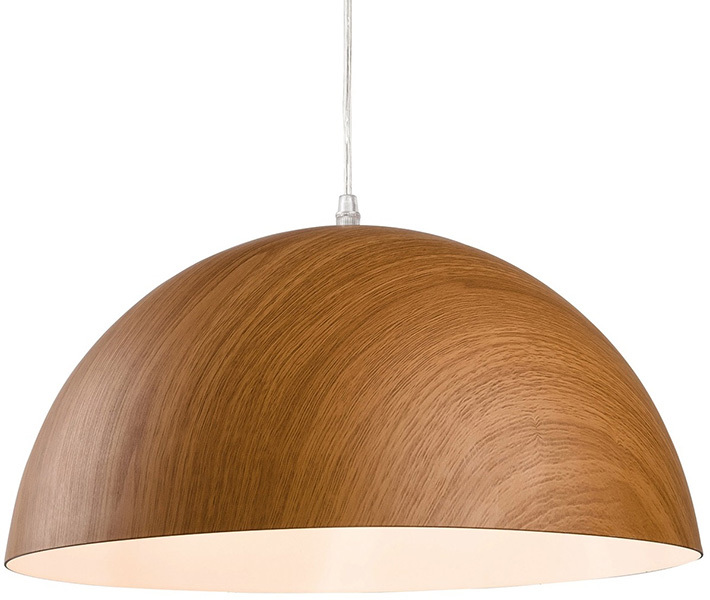 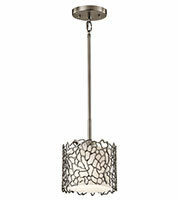 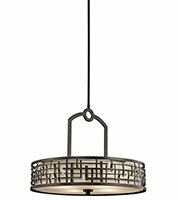 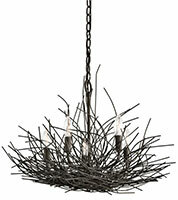 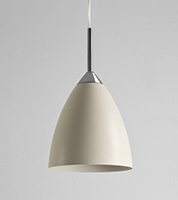 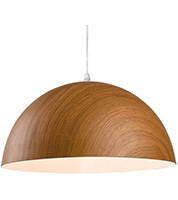 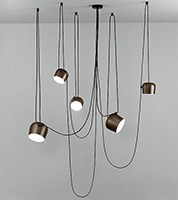 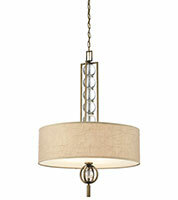 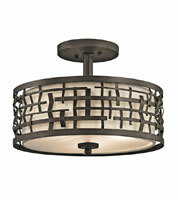 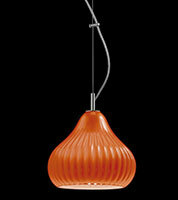 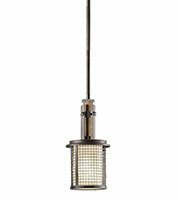 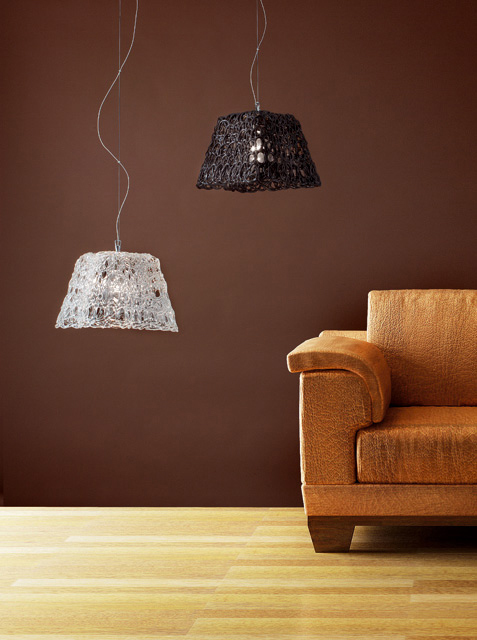 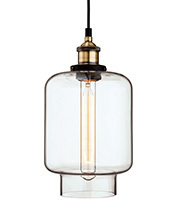 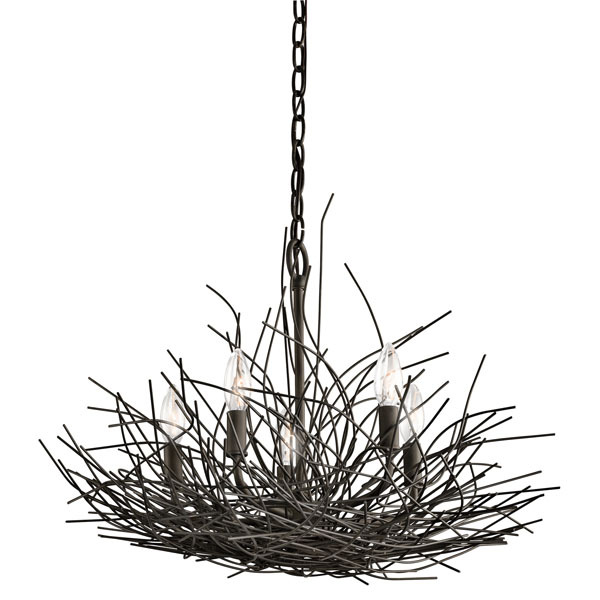 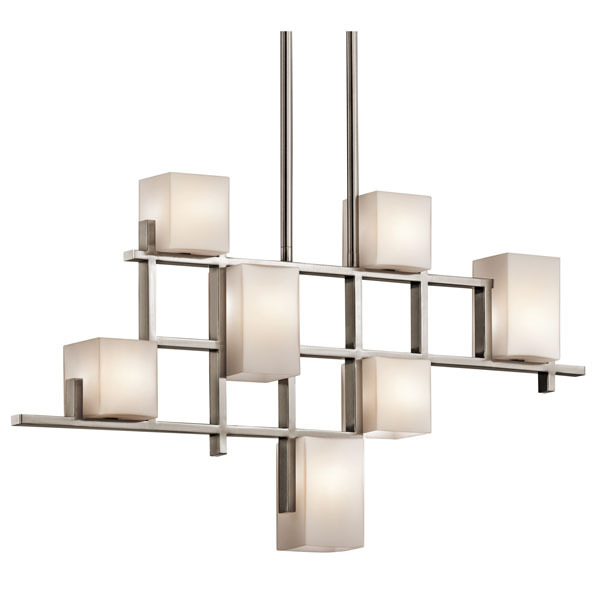 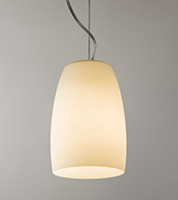 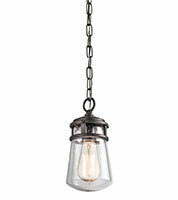 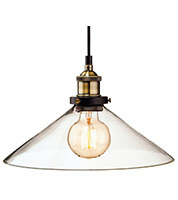 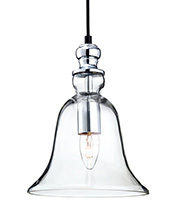 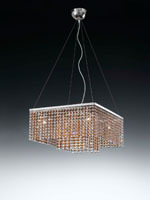 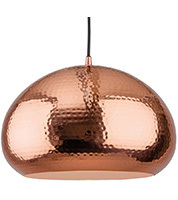 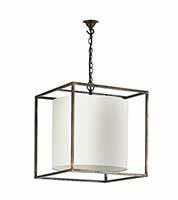 Or use simple pendant lighting to highlight artwork or furniture pieces in a contemporary style room. 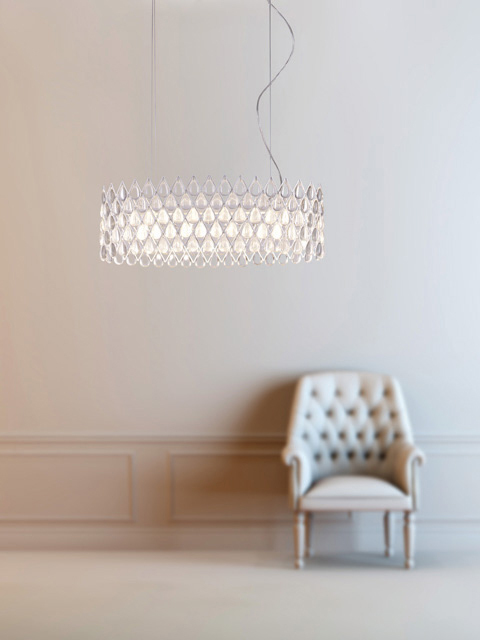 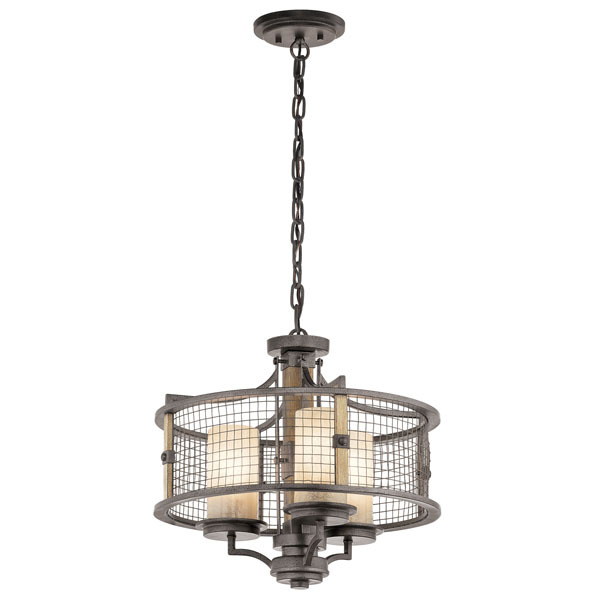 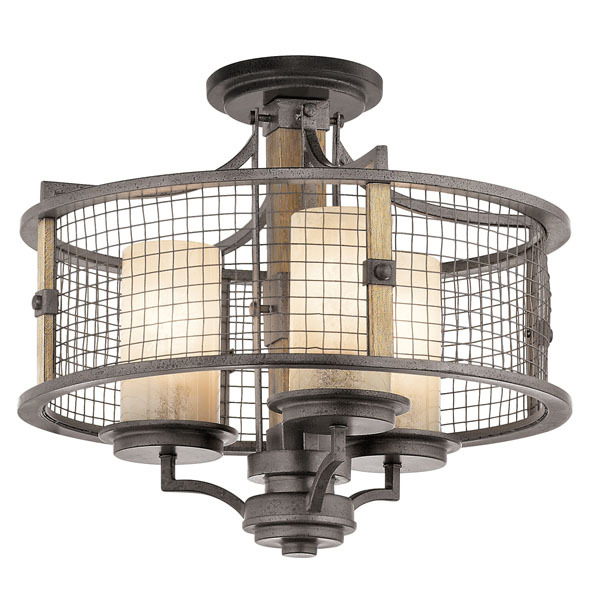 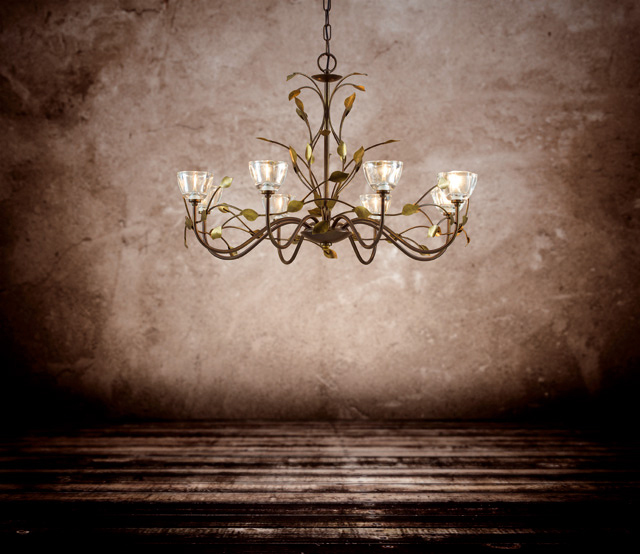 Grander versions of ceiling lighting such as chandeliers, or unusual and sculptural forms, look dazzling in the hallway or dining room, hung above a polished glass or wooden dining table. 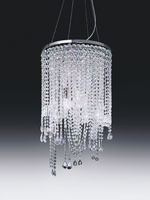 It can create a point of interest and brings the whole look of the room together and guests will love your style. 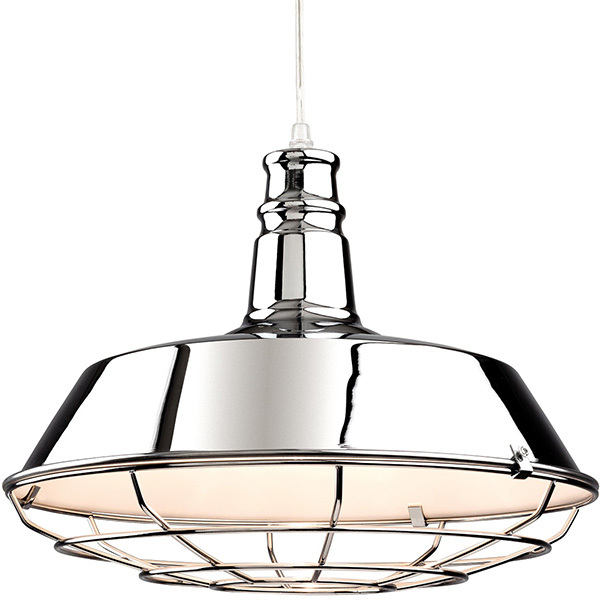 Contemporary ceiling lights can be used to add atmosphere or to illuminate an area of a room, such as a kitchen work bench. 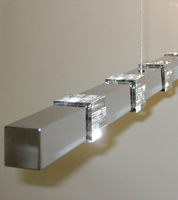 A sleek strip light with chrome and glass detailing looks fantastic in a modern kitchen and creates a statement. 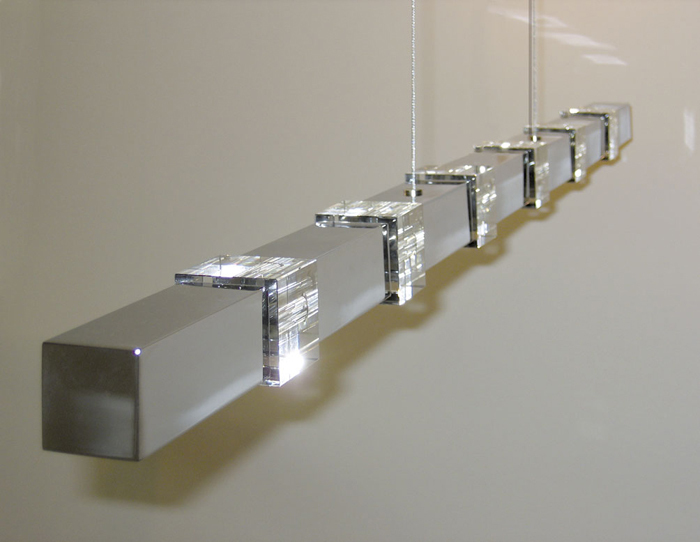 Contemporary strip lighting with clean lines is also popular in a bathroom or cloakroom. 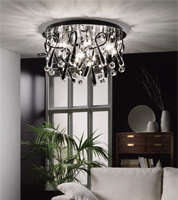 In open plan homes or living room areas you should also never underestimate the use of accent lighting. 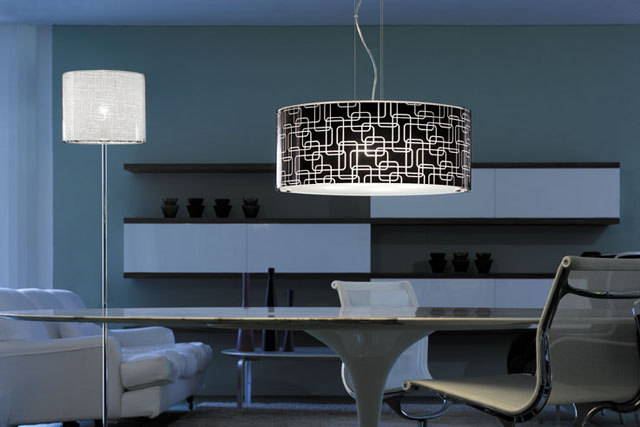 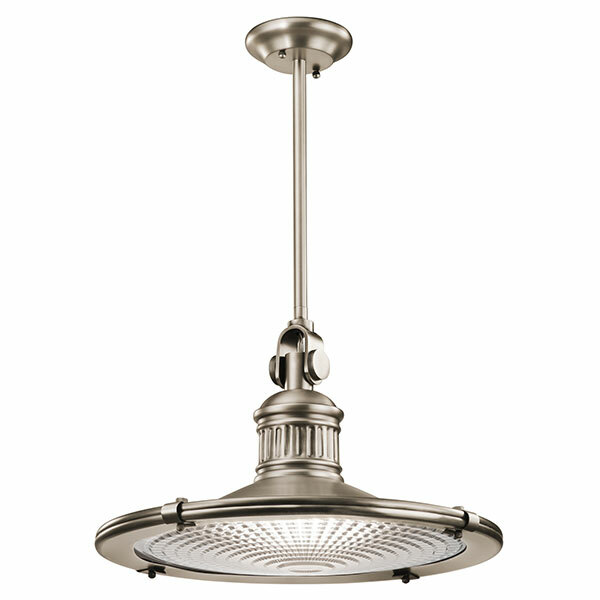 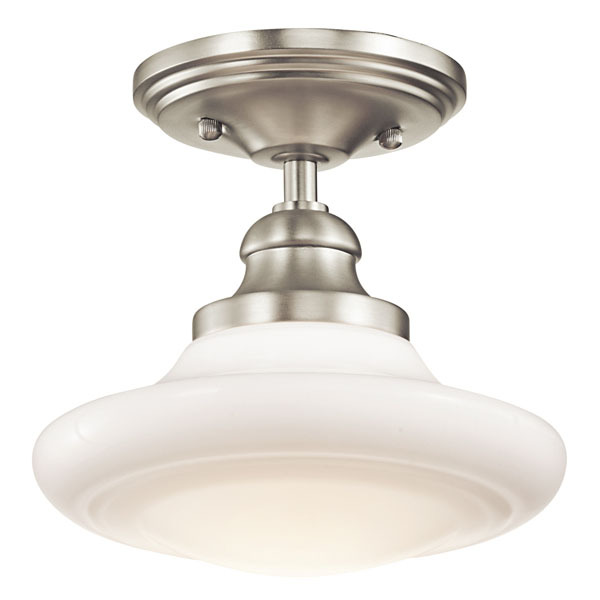 Contemporary ceiling lighting in the form of spotlights, or pendant lighting is used to illuminate certain parts of a room or enhance the space of an odd shaped room. 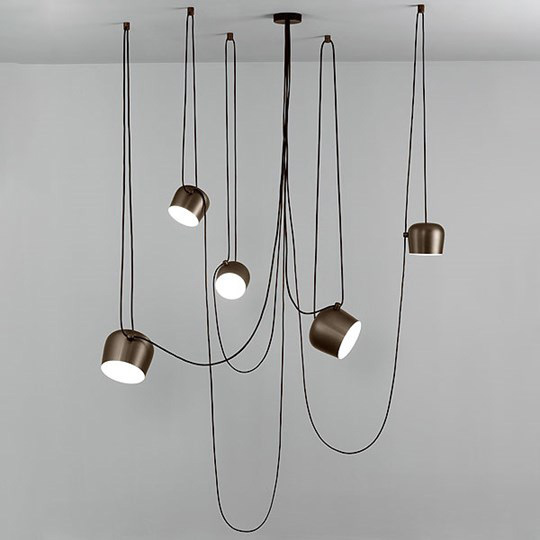 Contemporary ceiling lights work best when combined with table lamps and wall lighting to create different light sources around the room and add warmth and intimacy. 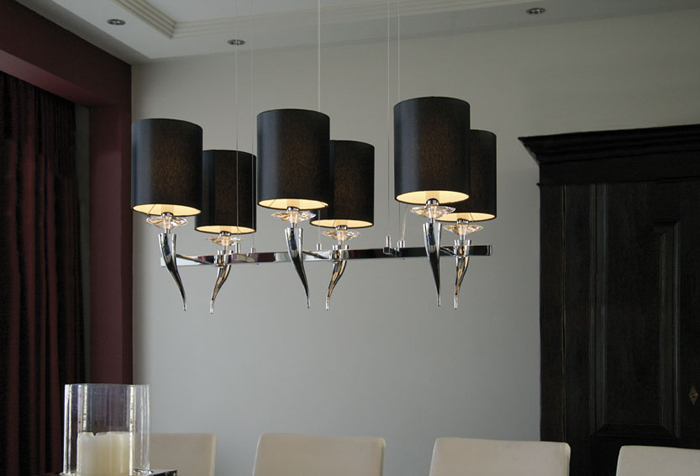 Your choice of lighting is important as it can completely transform a space and add atmosphere, warmth and drama. 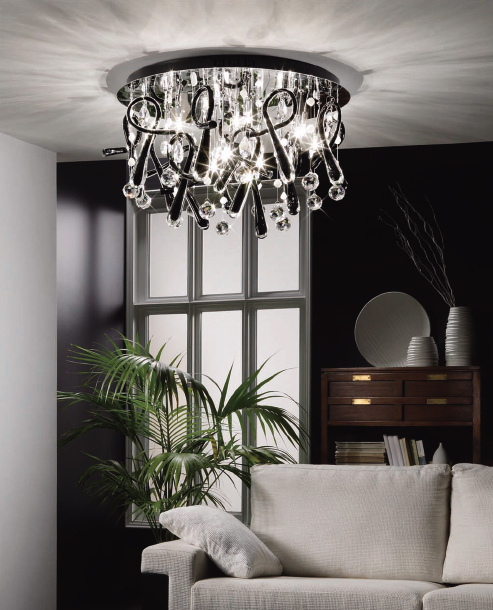 If you want to revitalise the appearance of a room, making small alterations such as changing the light fittings updates the space whilst saving on redecoration. 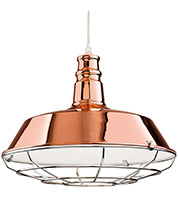 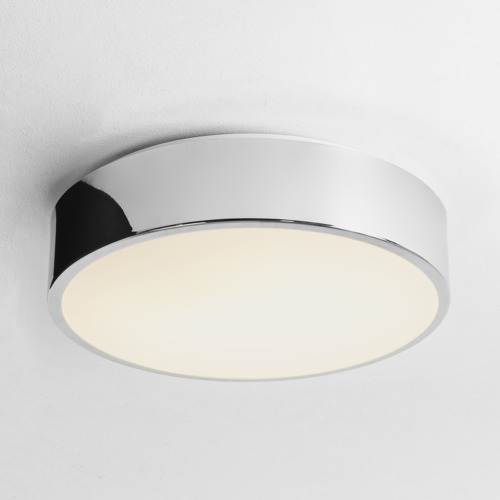 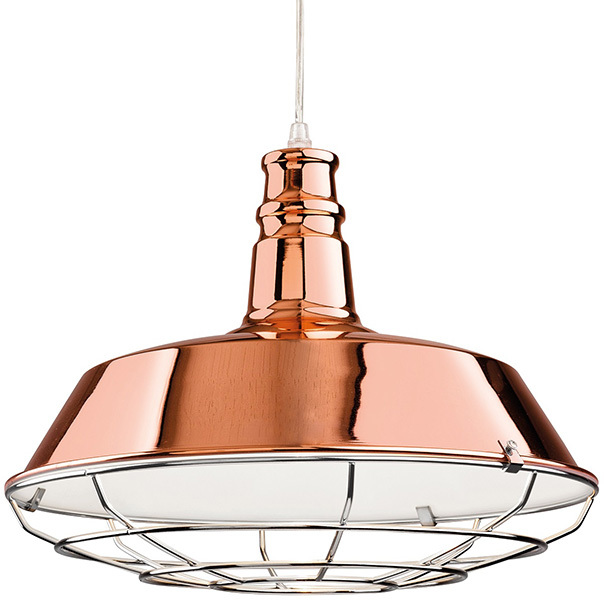 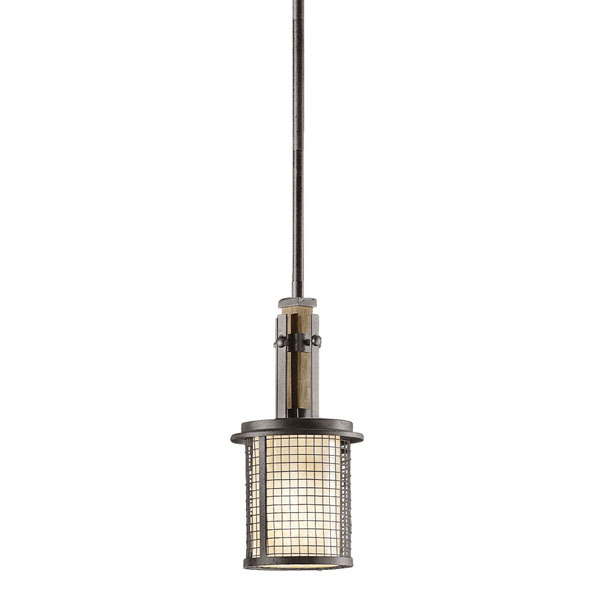 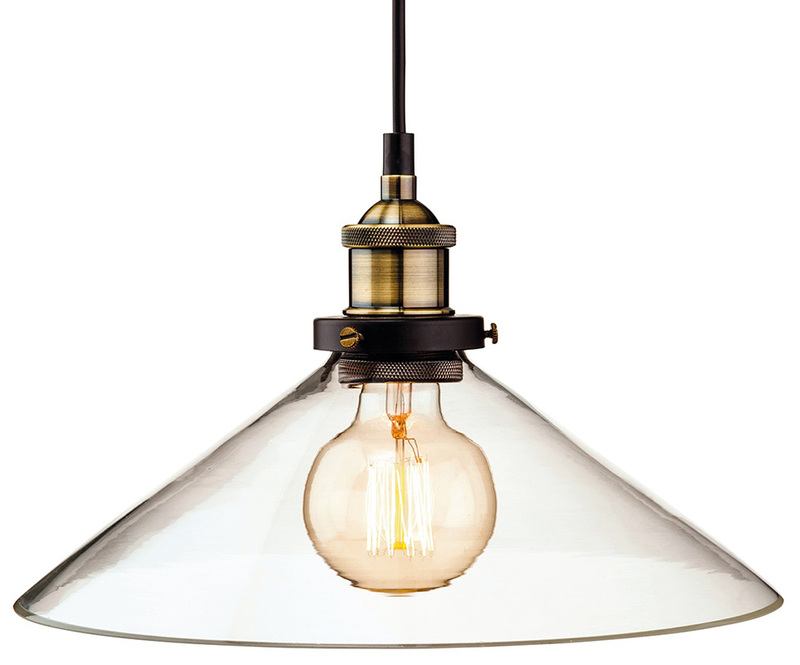 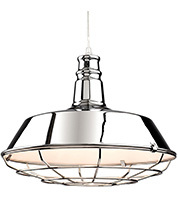 There are a wide range of contemporary ceiling lights suitable for all areas of the home including the kitchen, bathroom hallway, conservatory, breakfast area and living room. 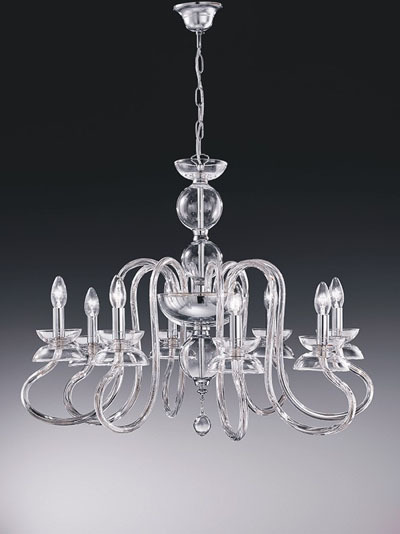 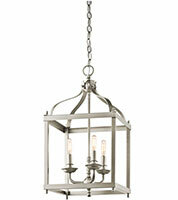 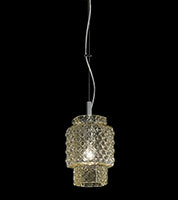 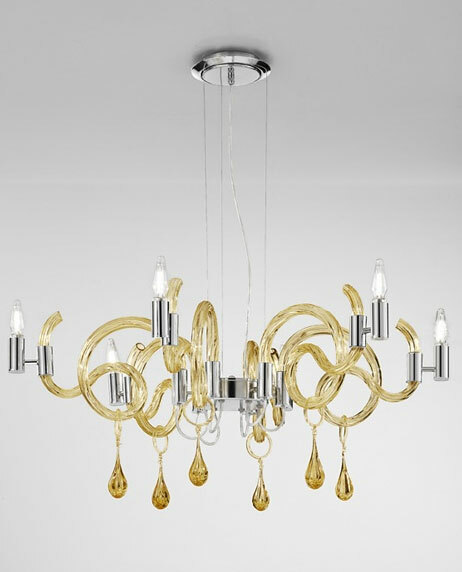 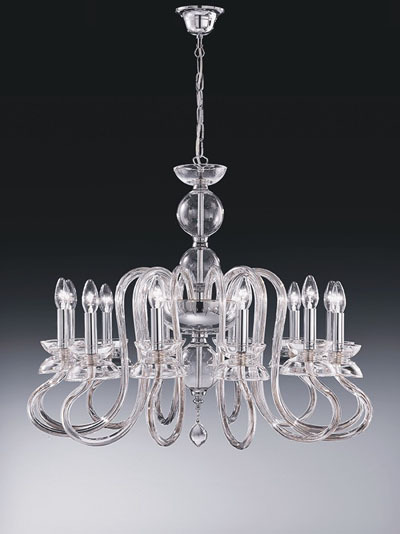 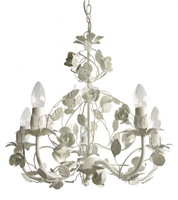 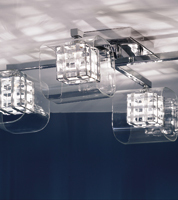 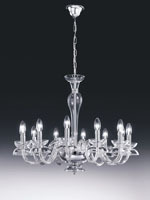 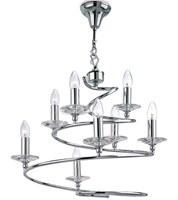 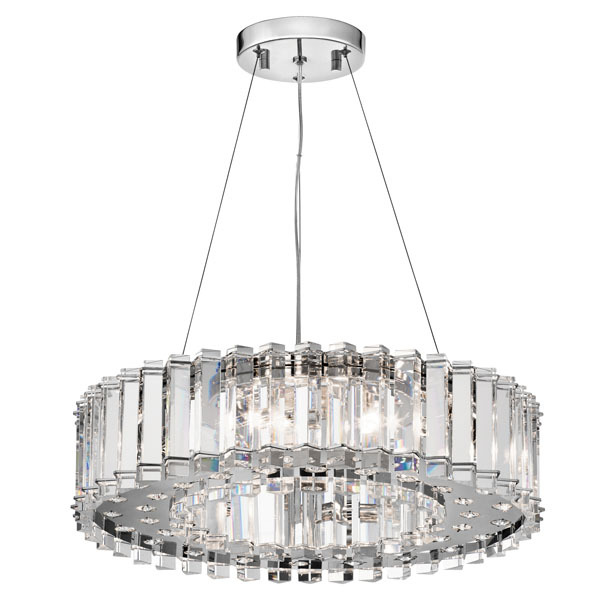 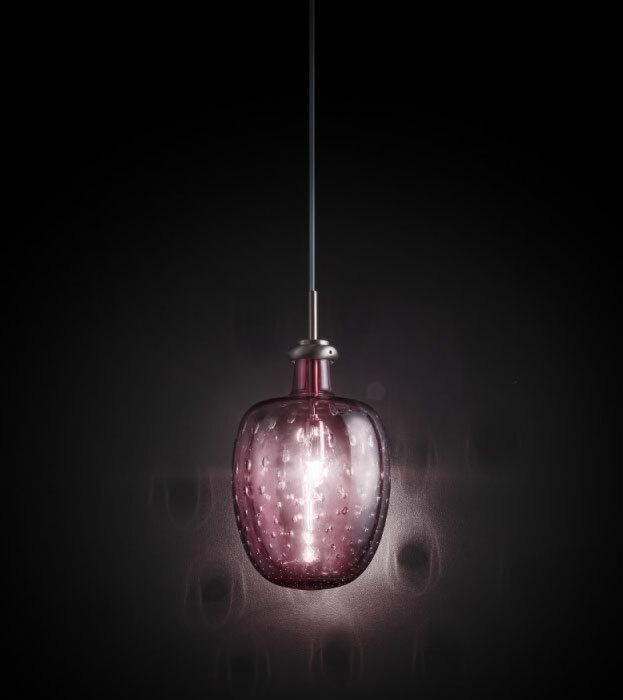 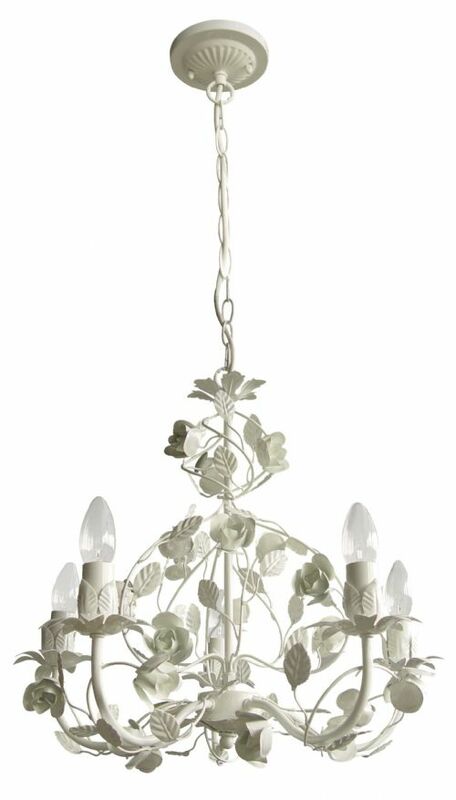 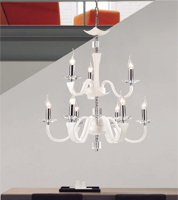 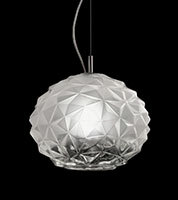 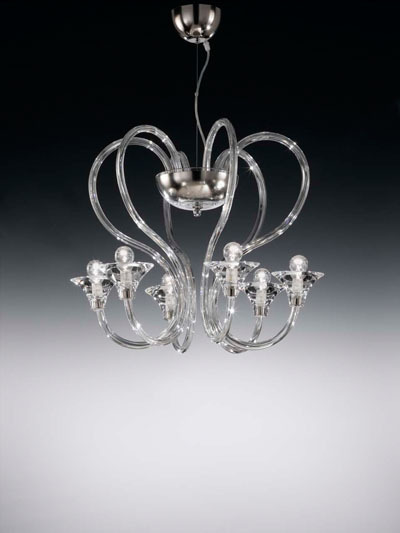 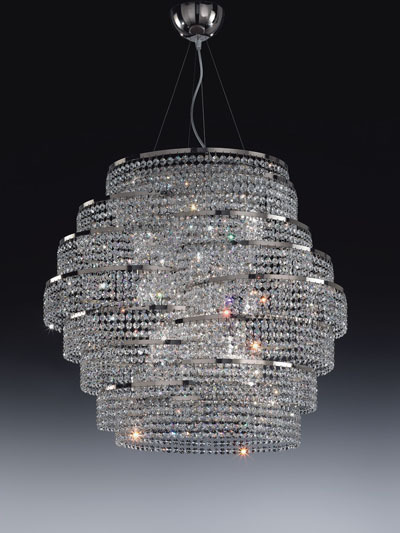 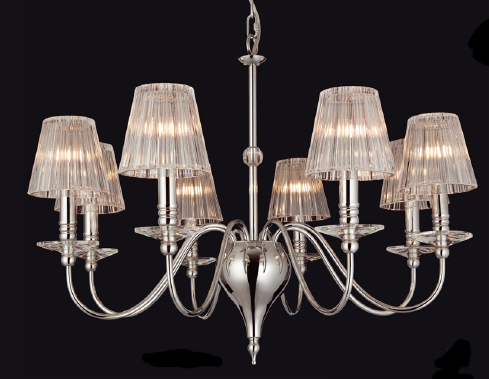 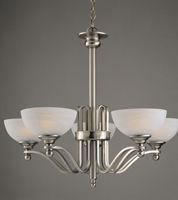 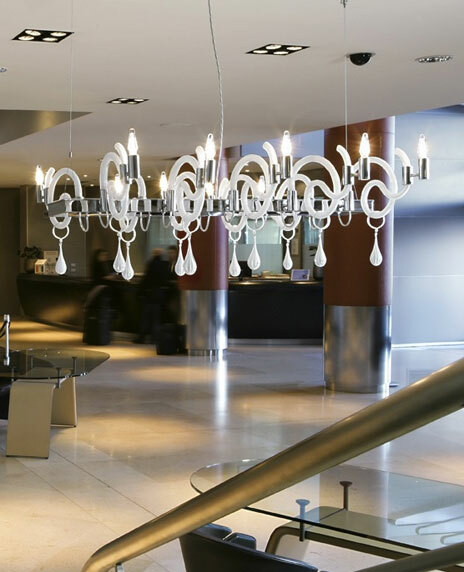 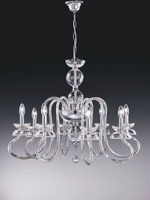 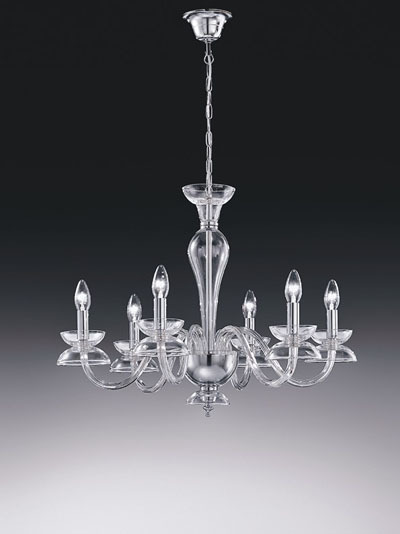 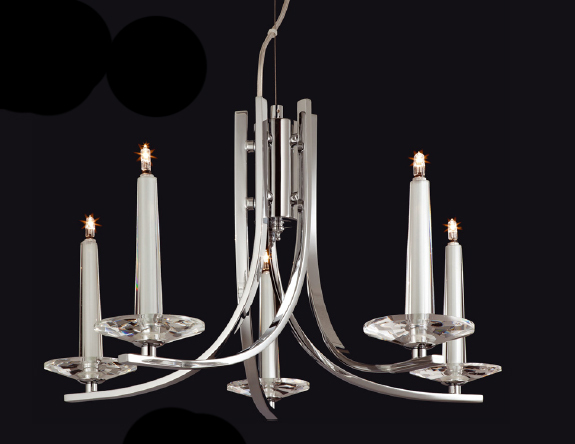 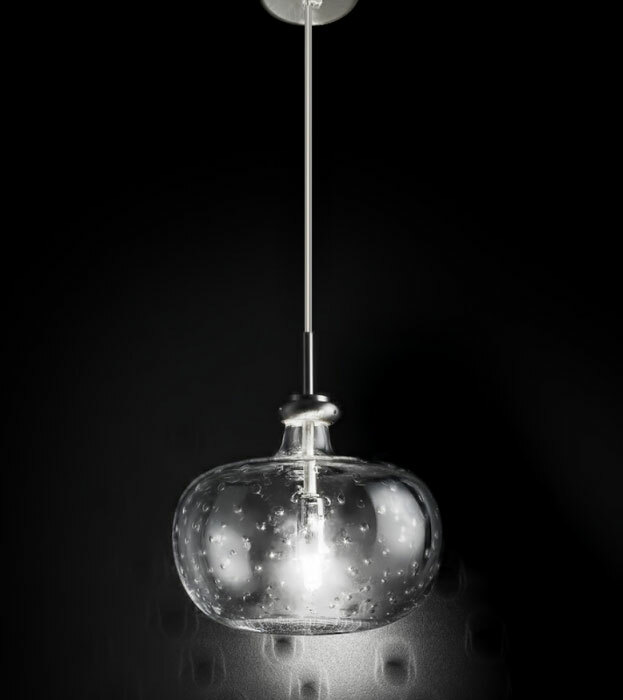 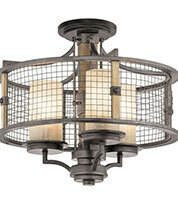 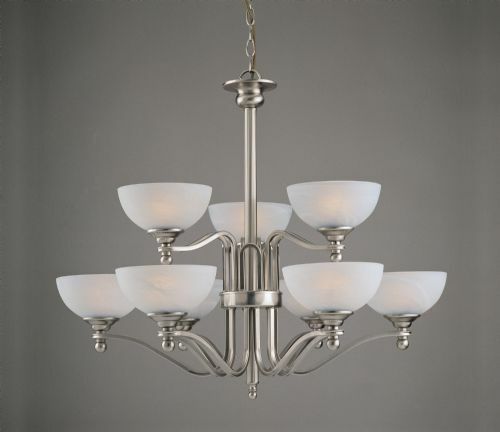 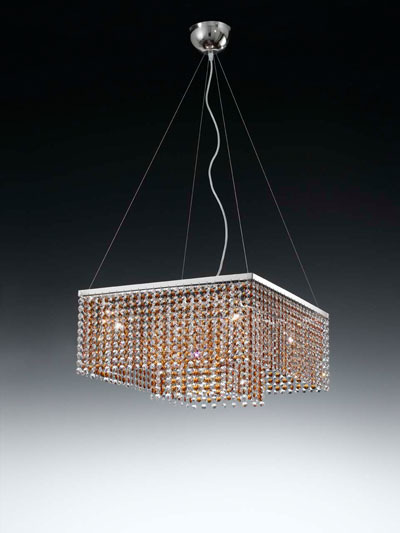 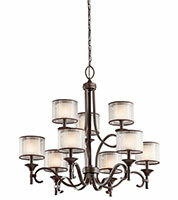 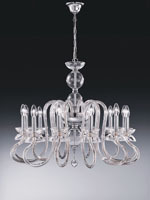 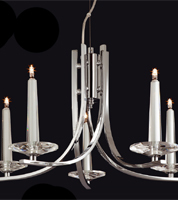 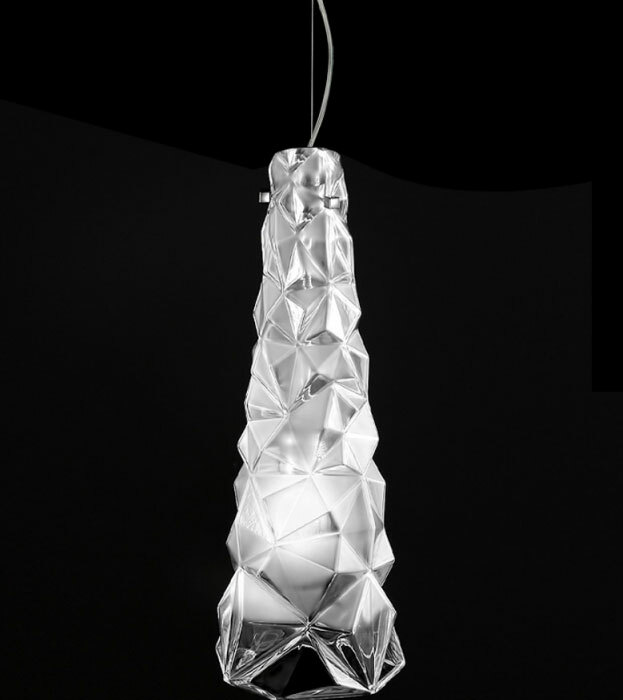 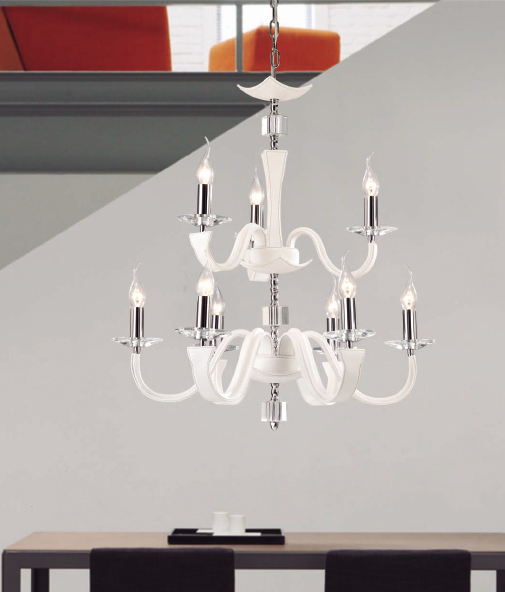 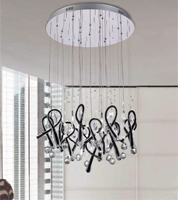 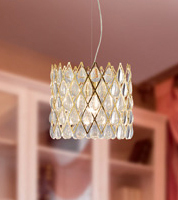 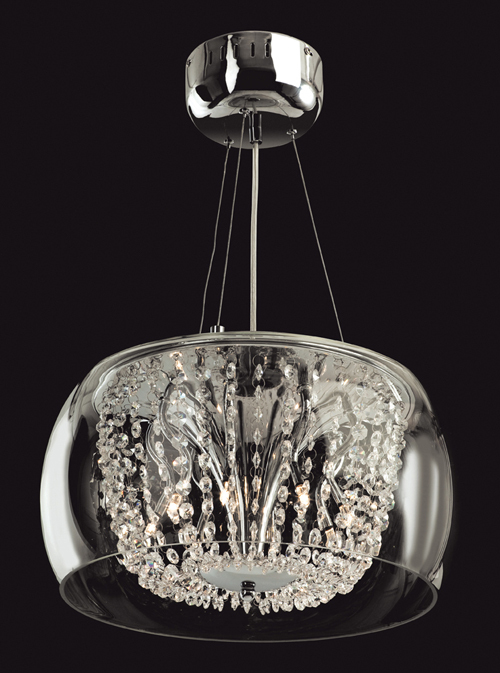 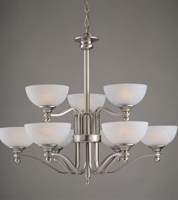 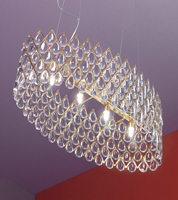 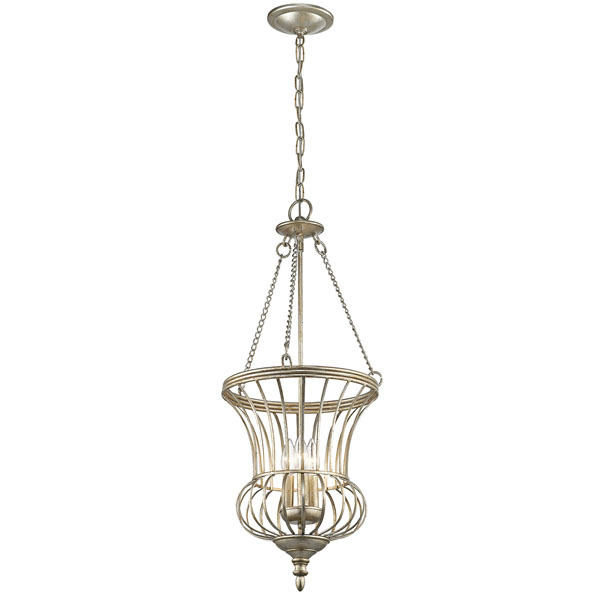 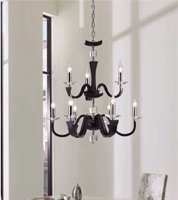 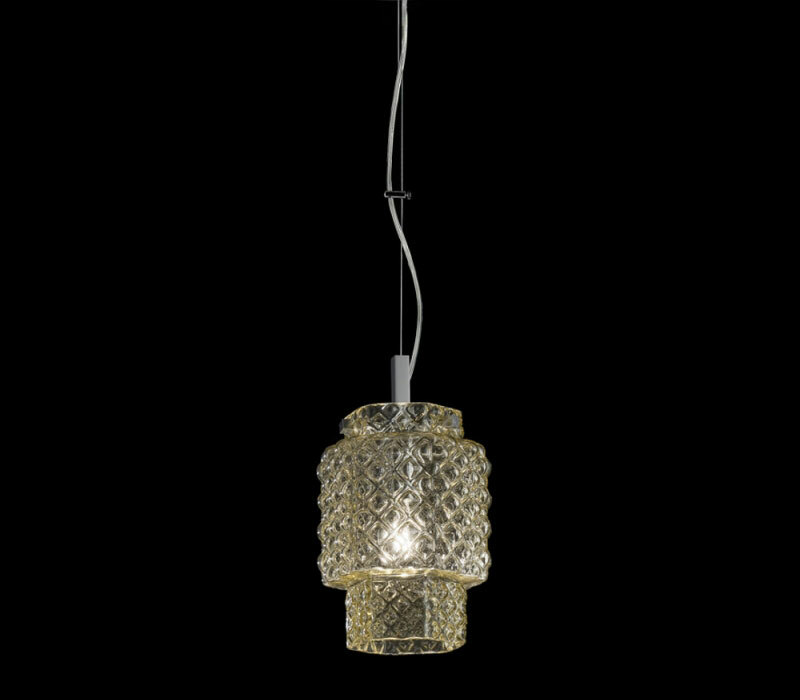 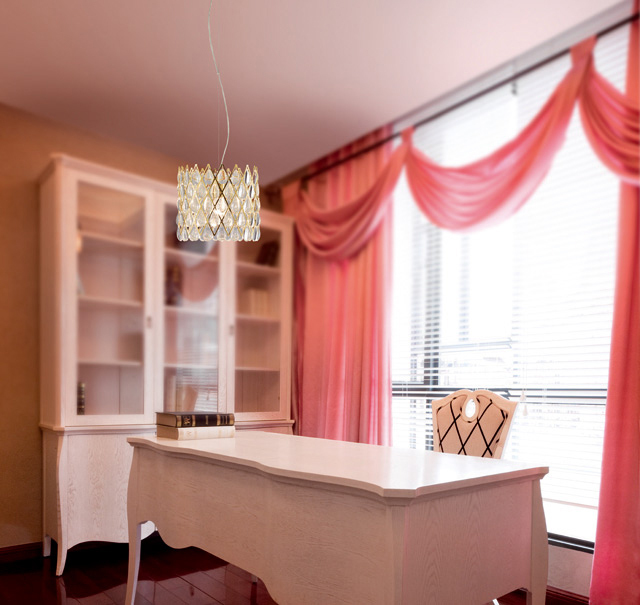 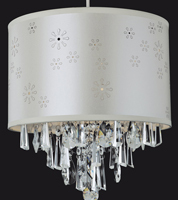 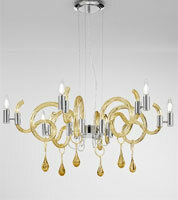 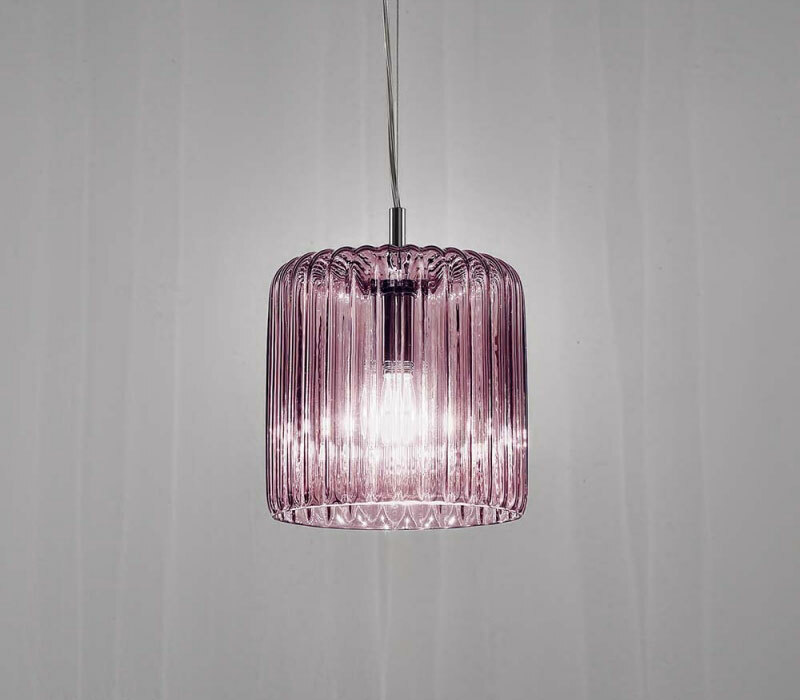 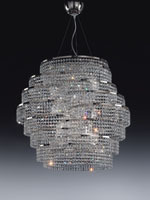 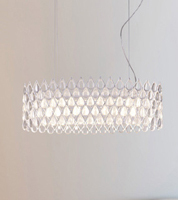 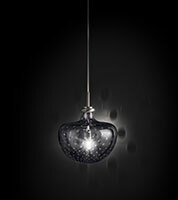 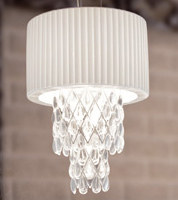 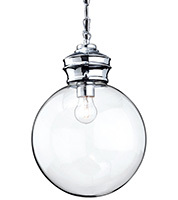 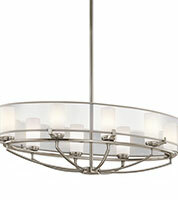 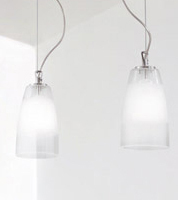 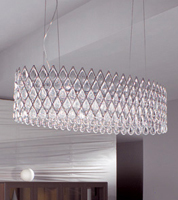 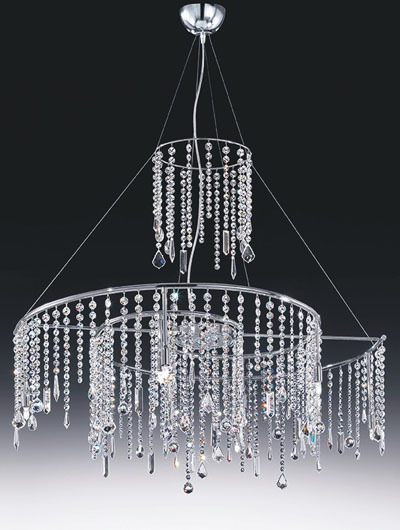 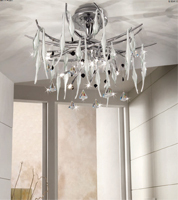 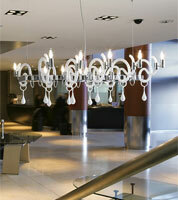 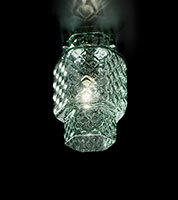 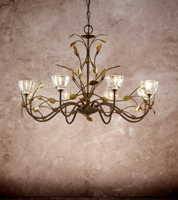 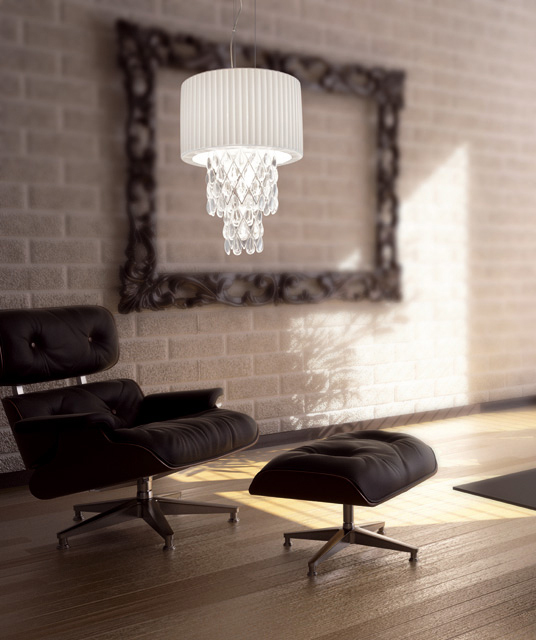 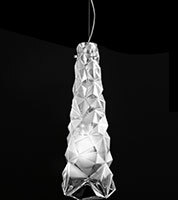 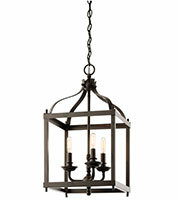 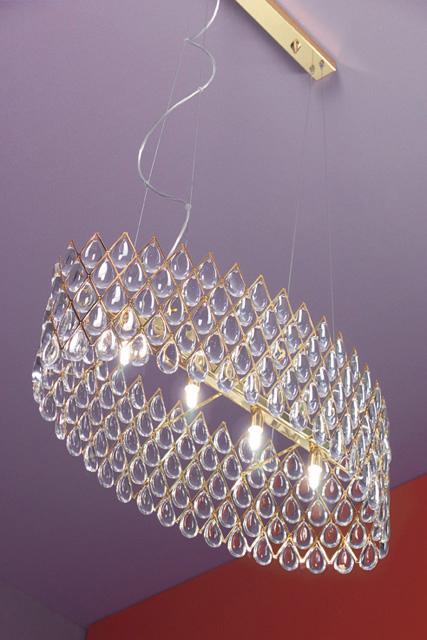 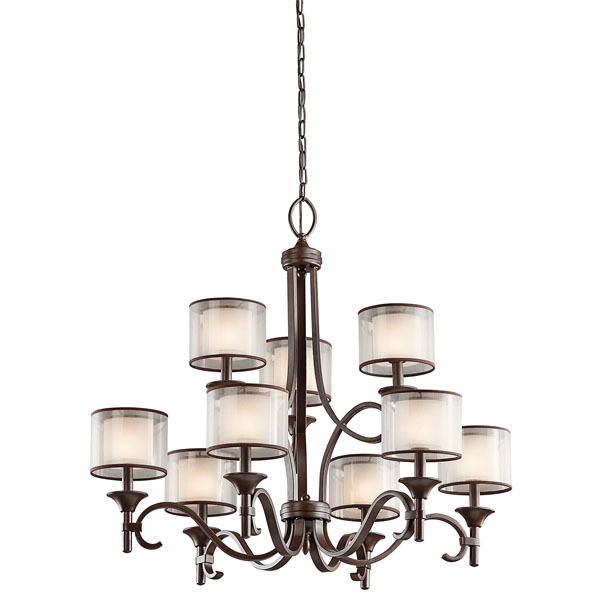 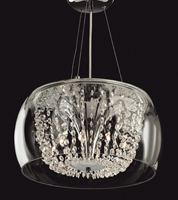 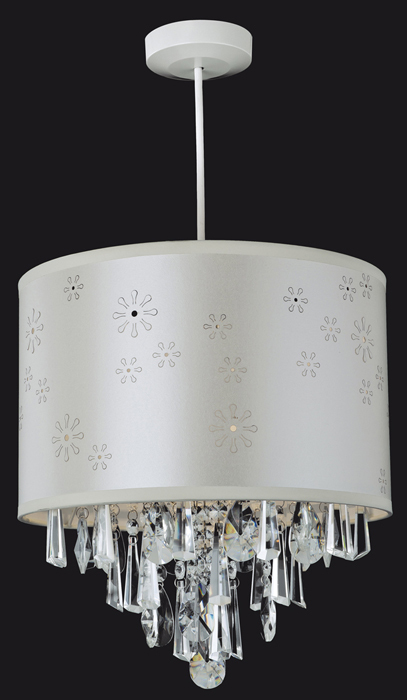 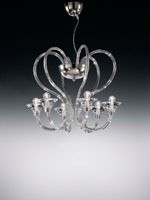 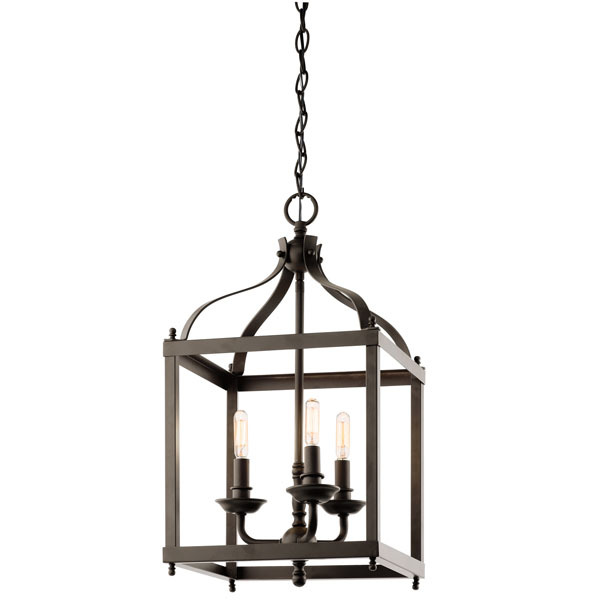 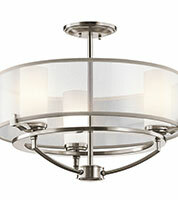 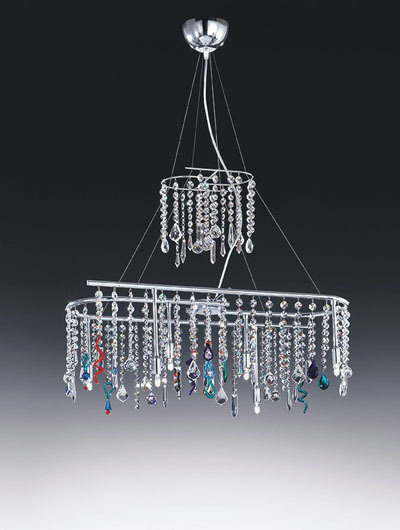 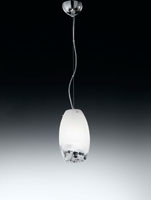 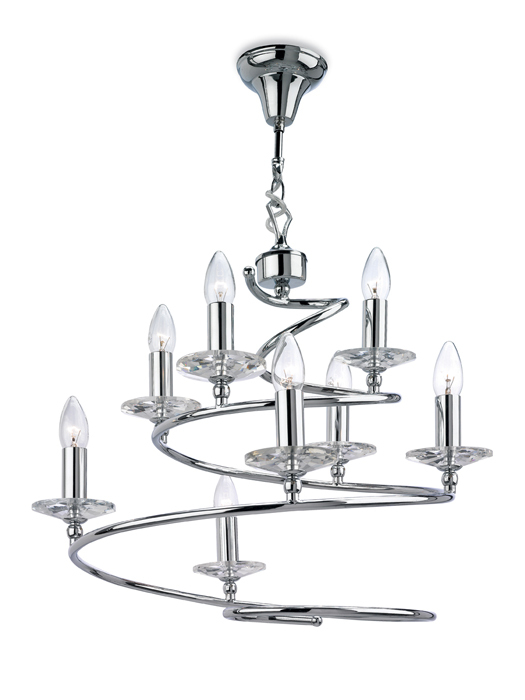 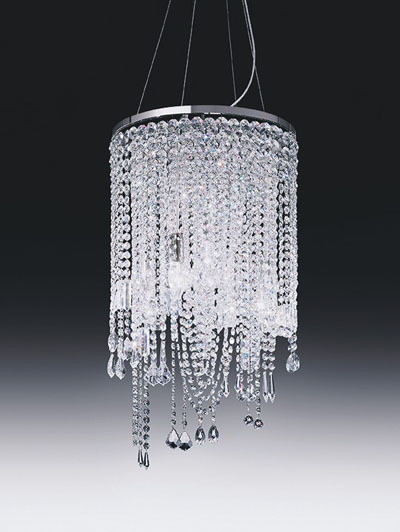 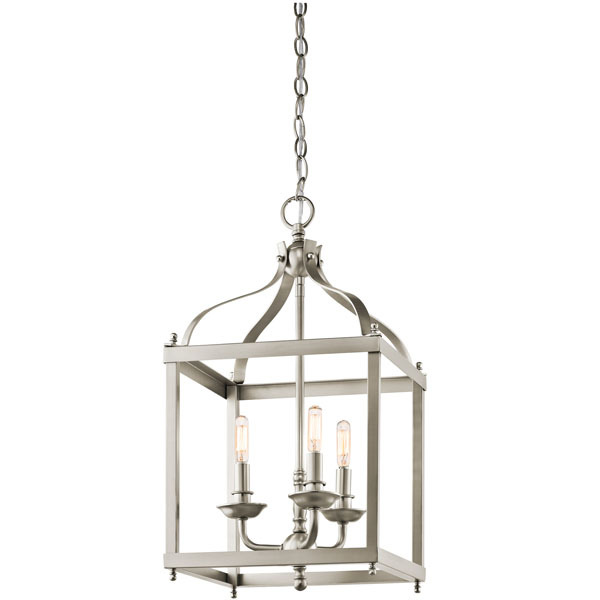 These include strip lighting, chandelier style, up-lighting, down-lighting, crystal lighting and pendant lighting. 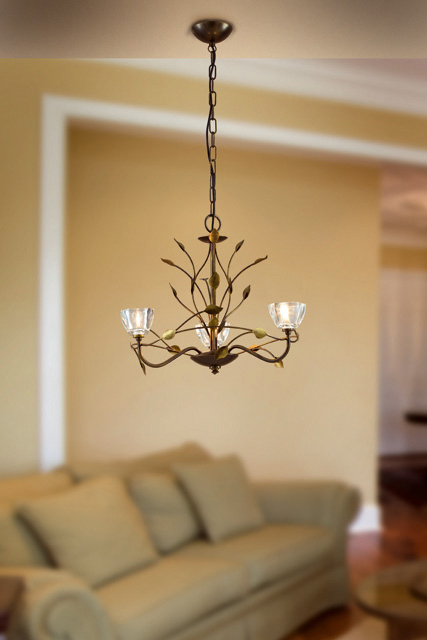 Let Angelo's help you find the perfect lighting for your home.